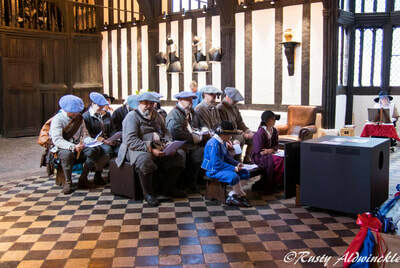 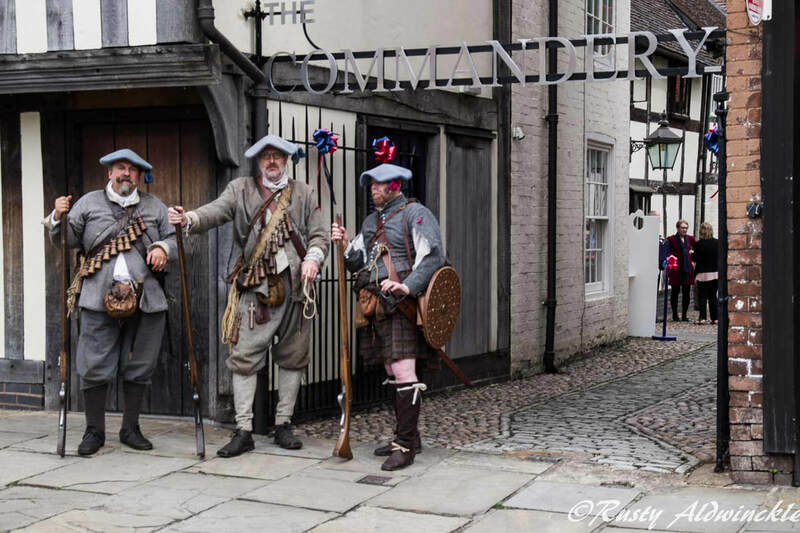 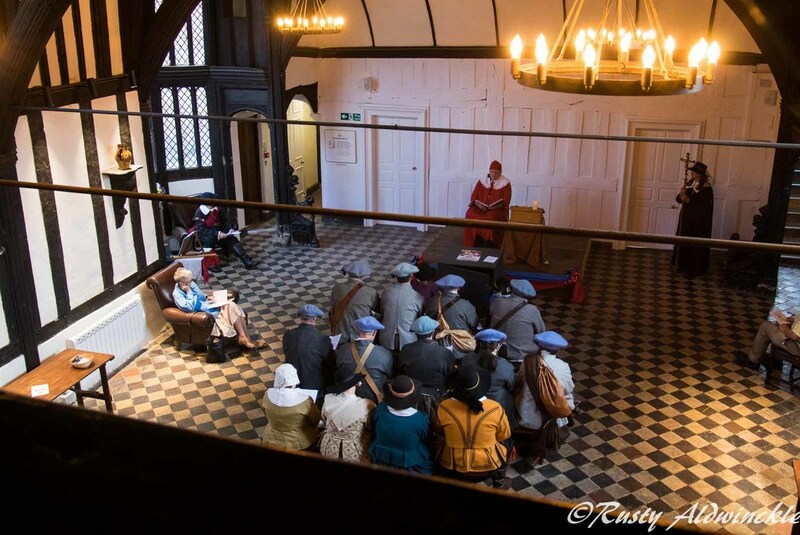 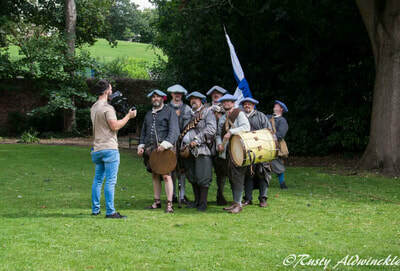 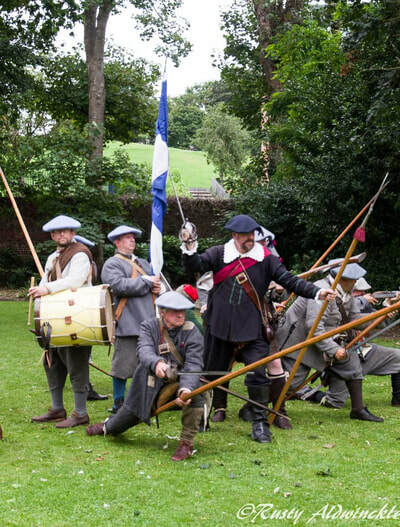 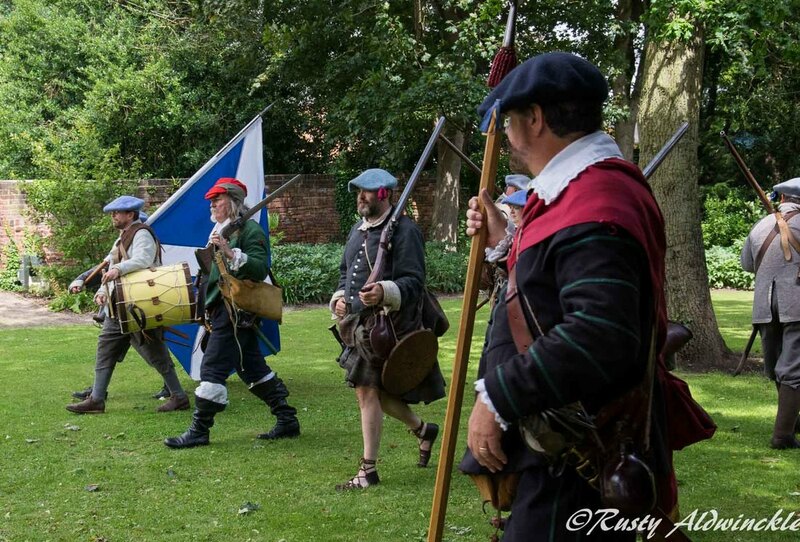 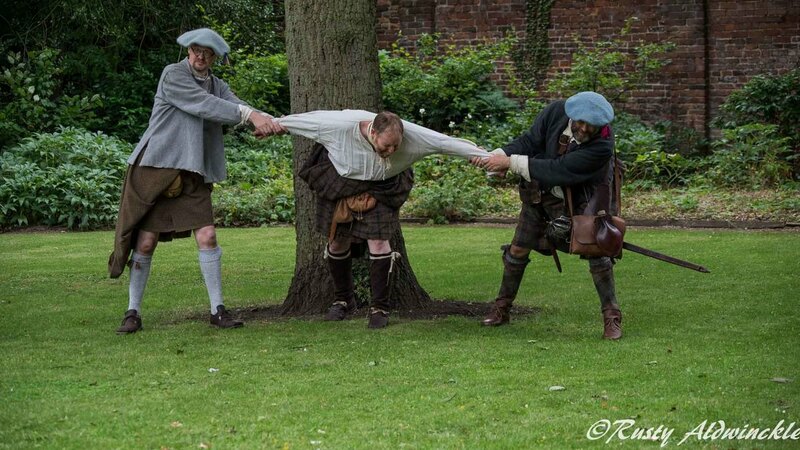 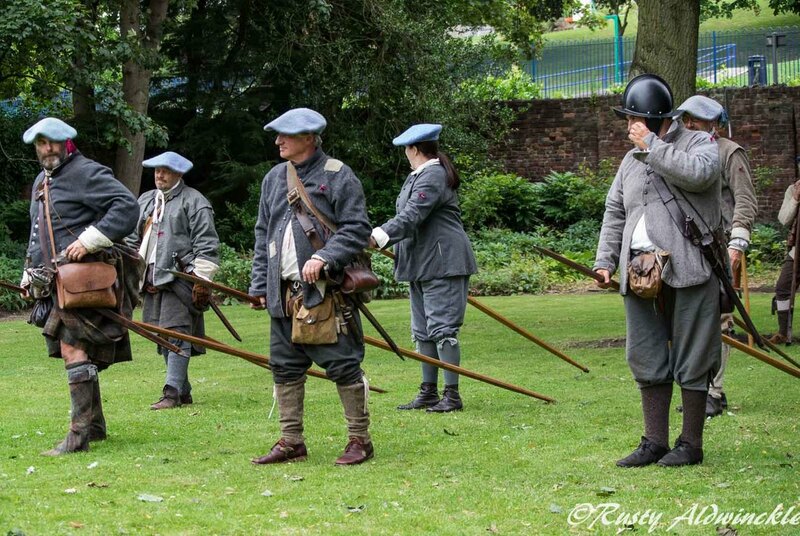 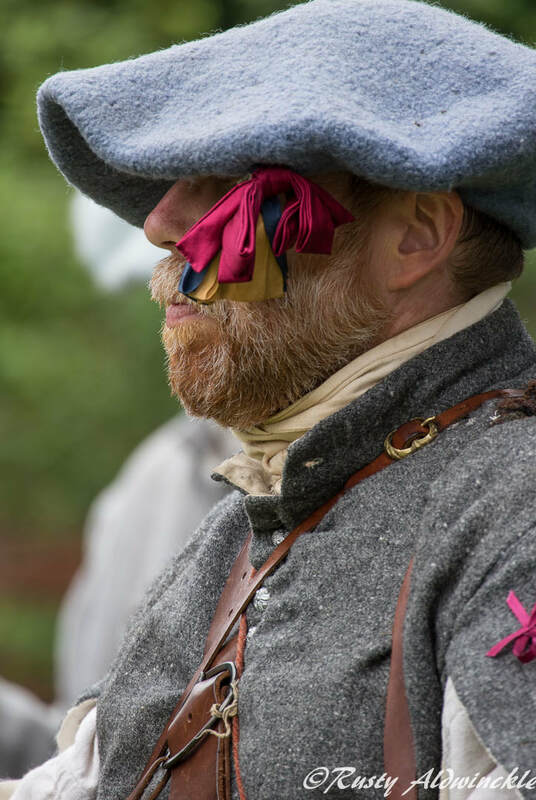 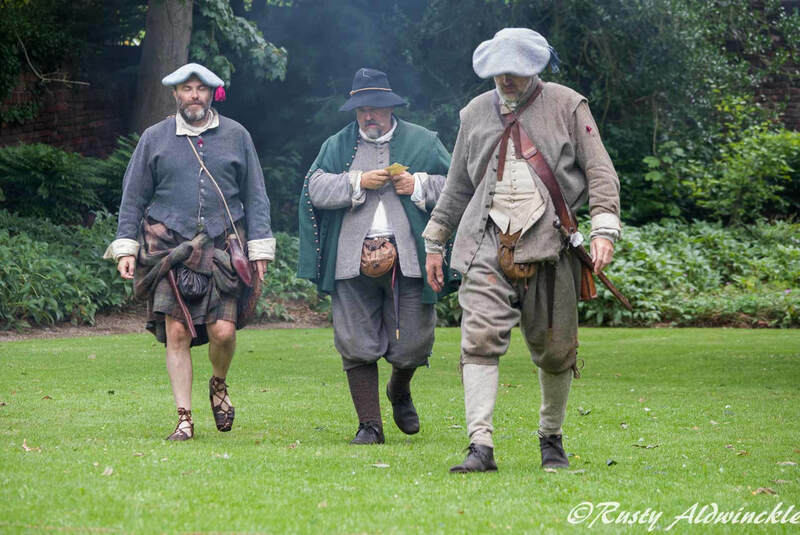 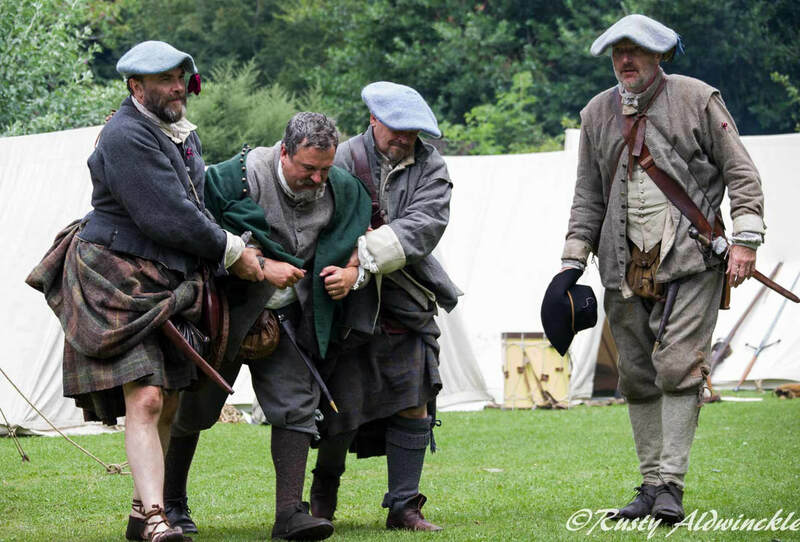 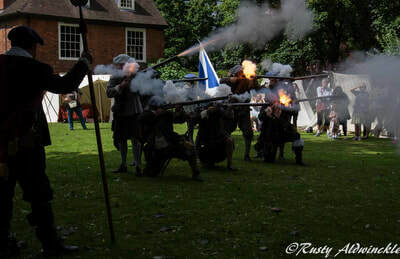 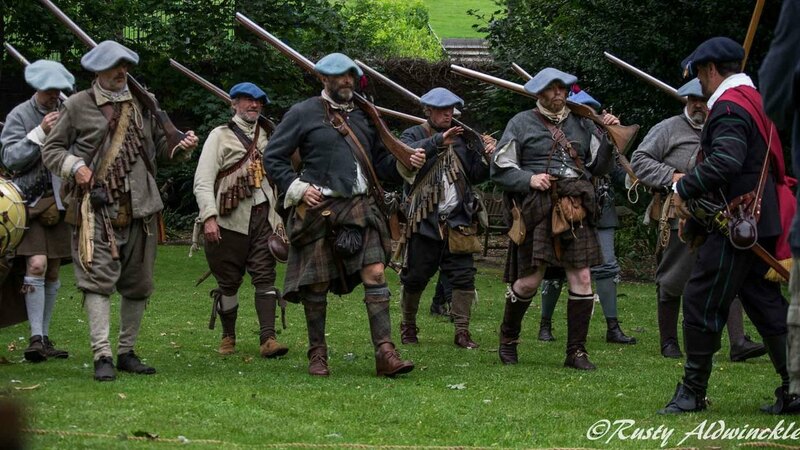 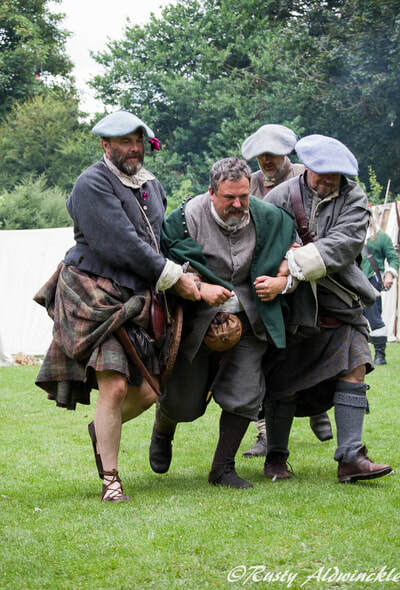 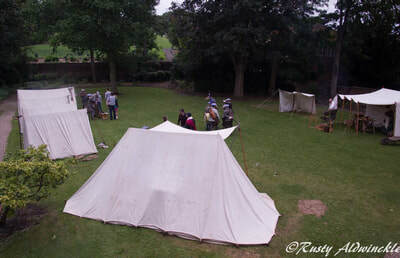 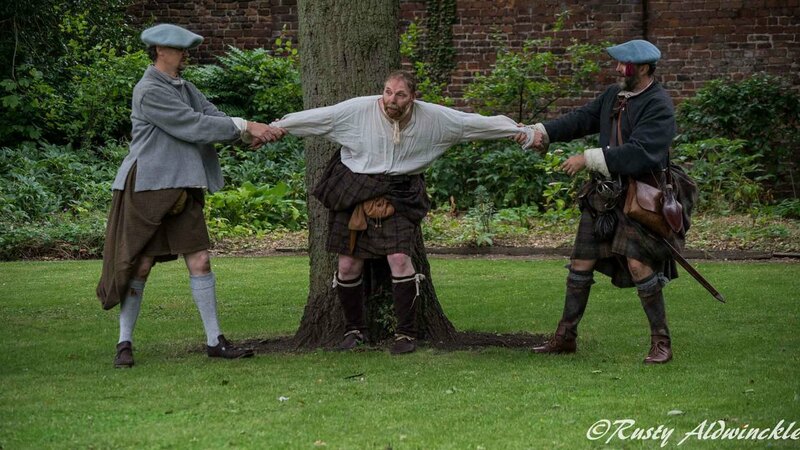 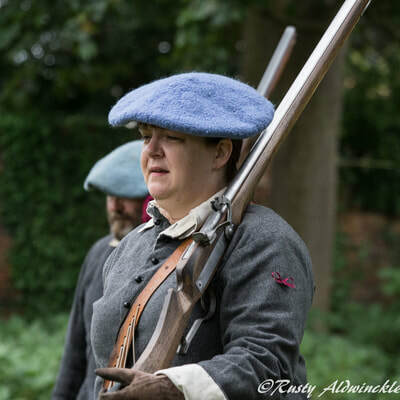 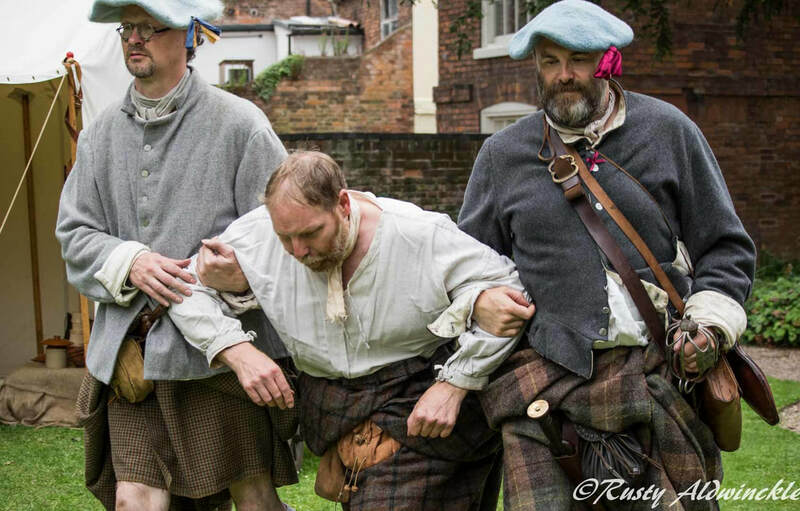 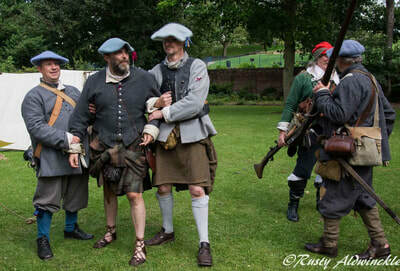 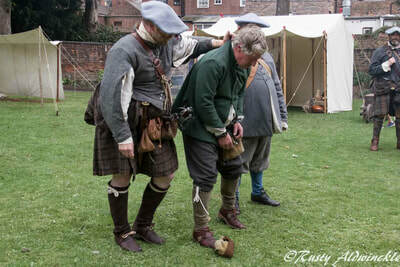 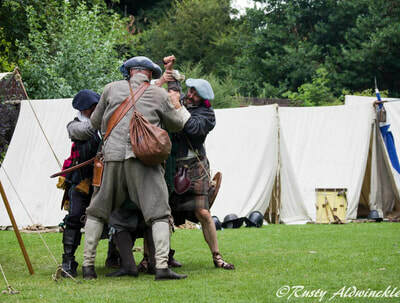 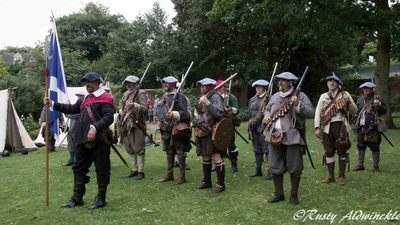 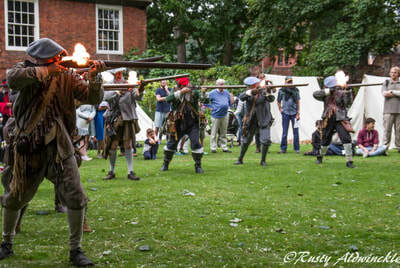 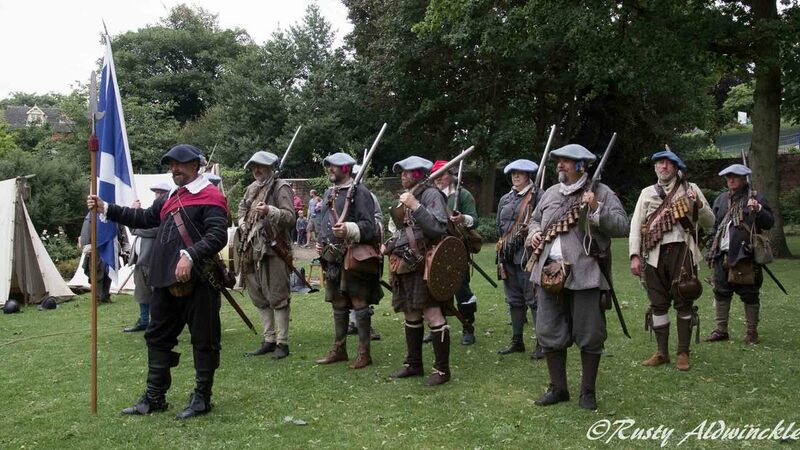 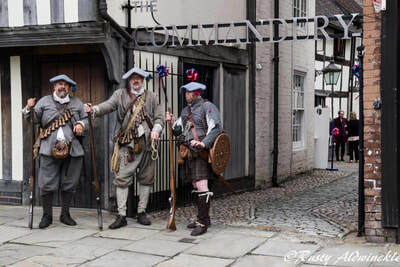 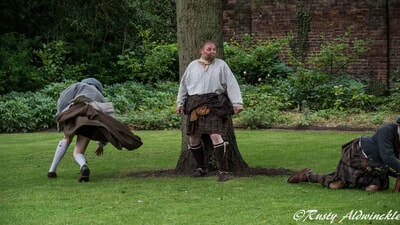 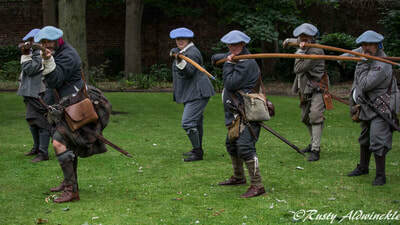 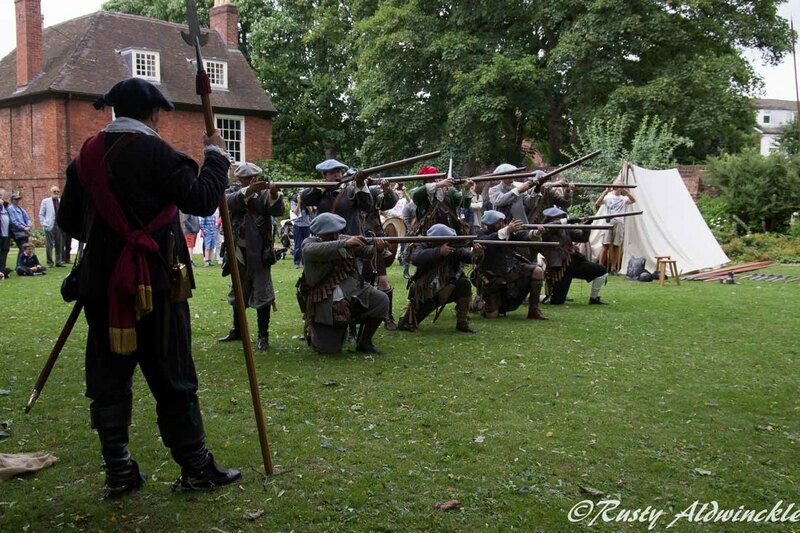 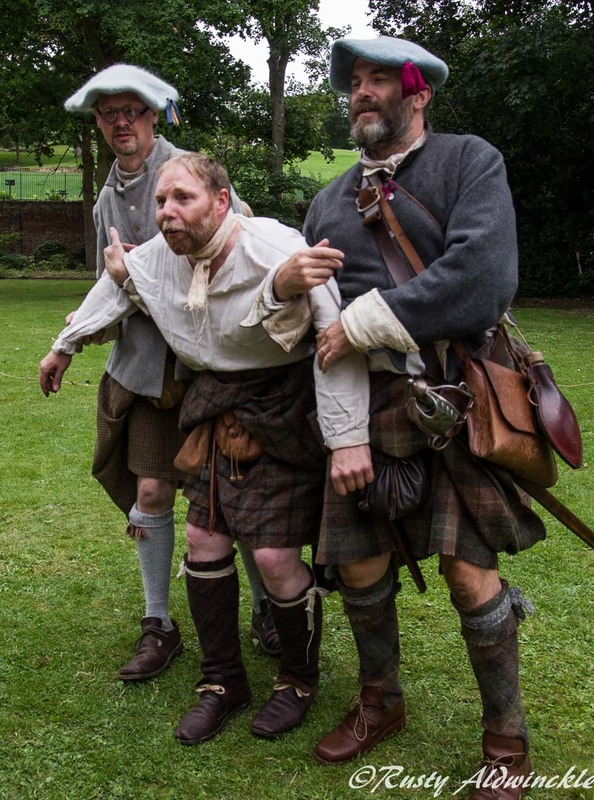 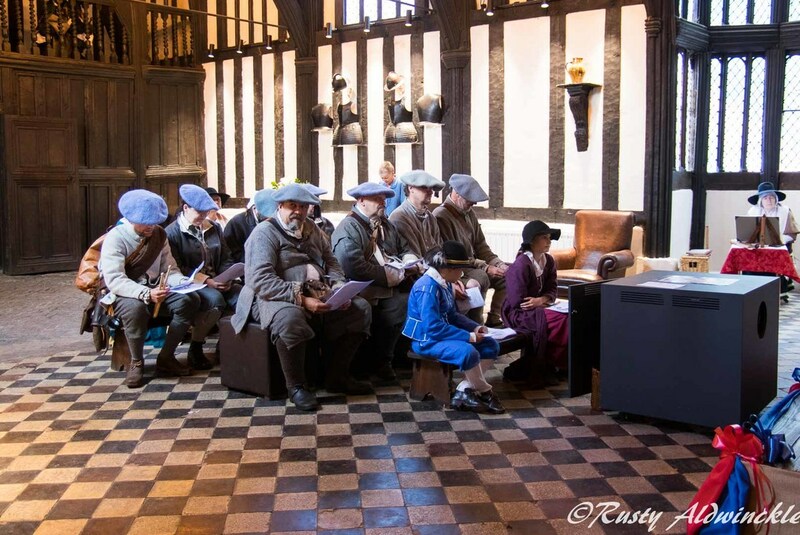 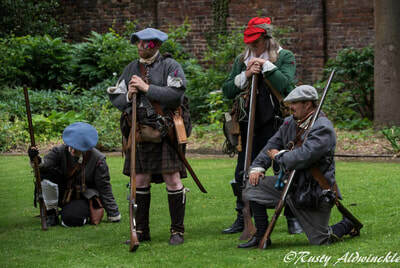 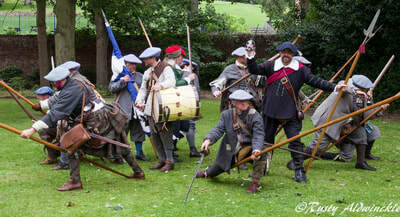 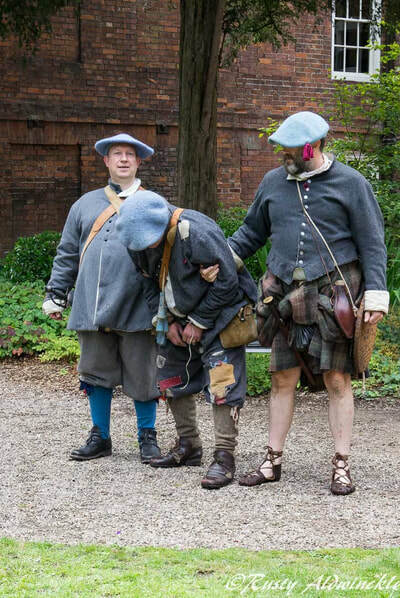 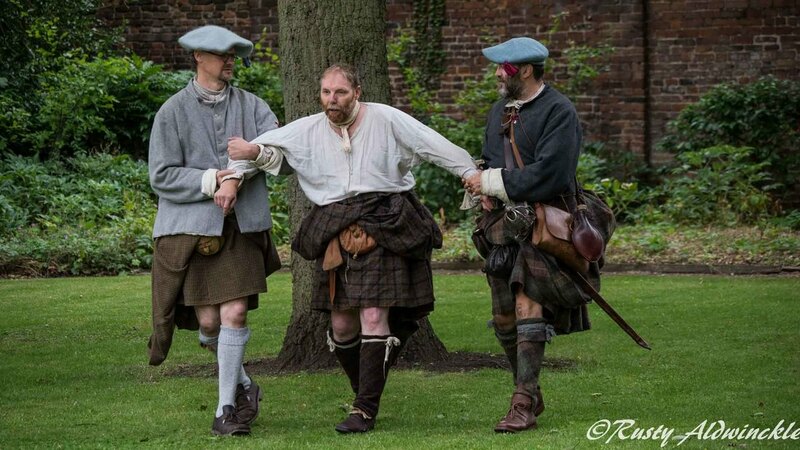 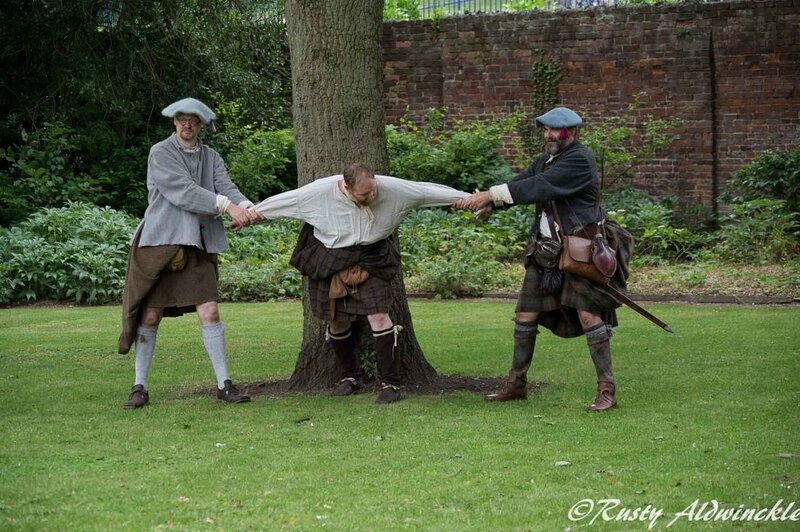 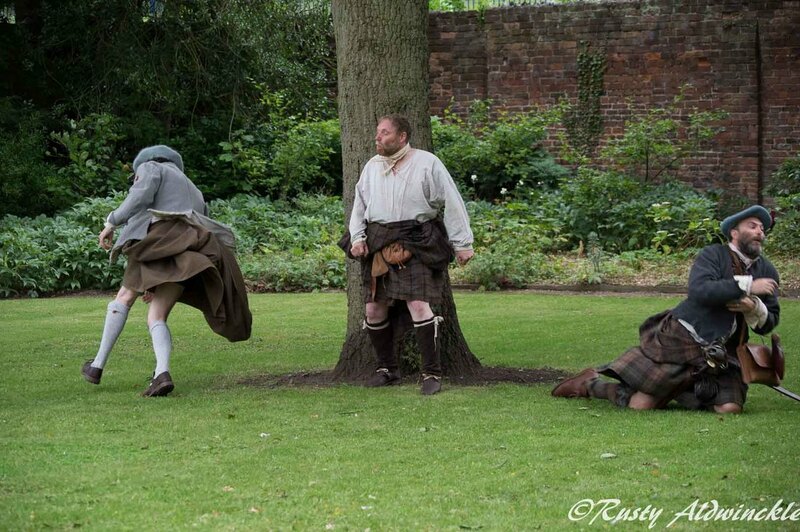 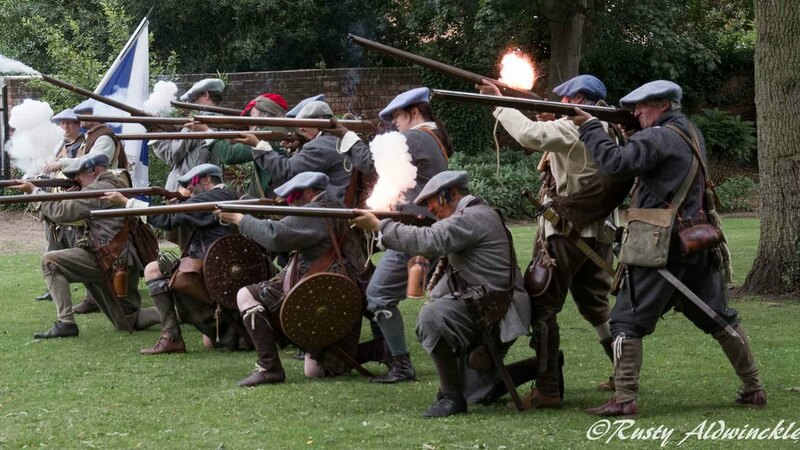 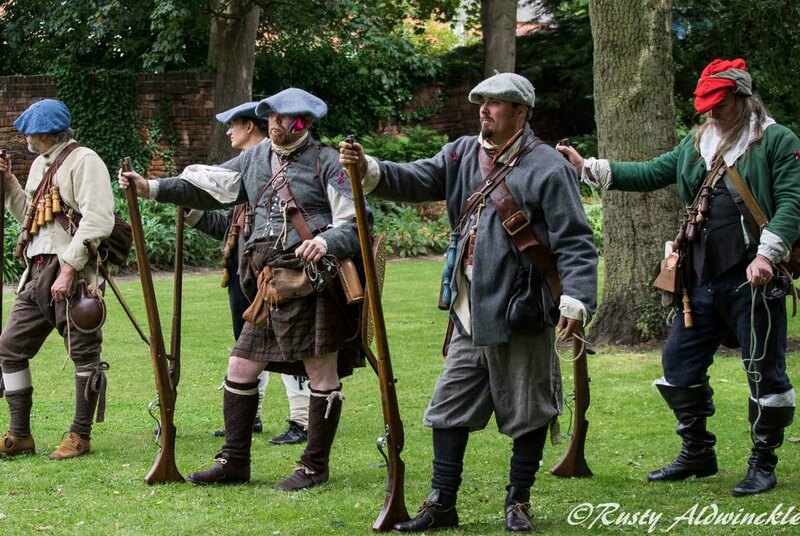 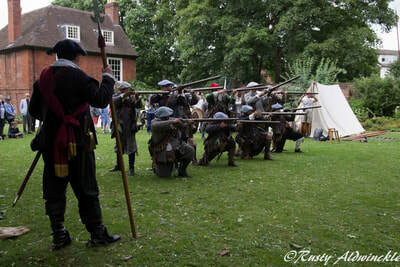 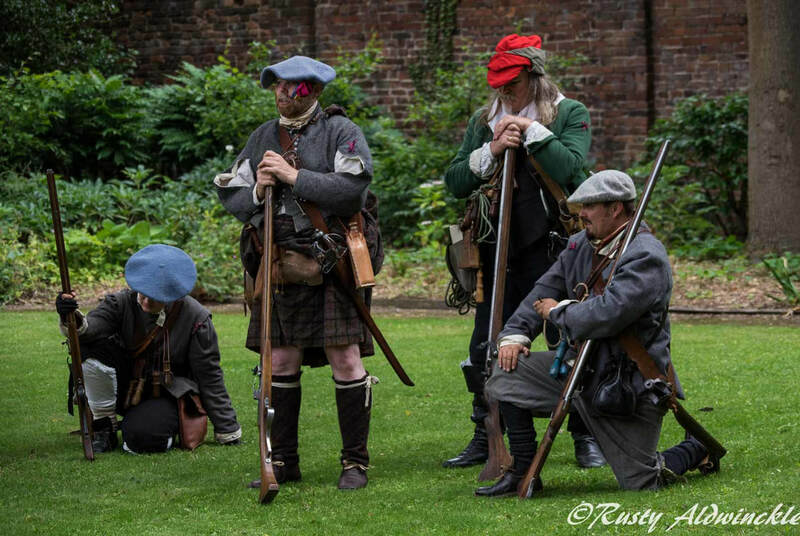 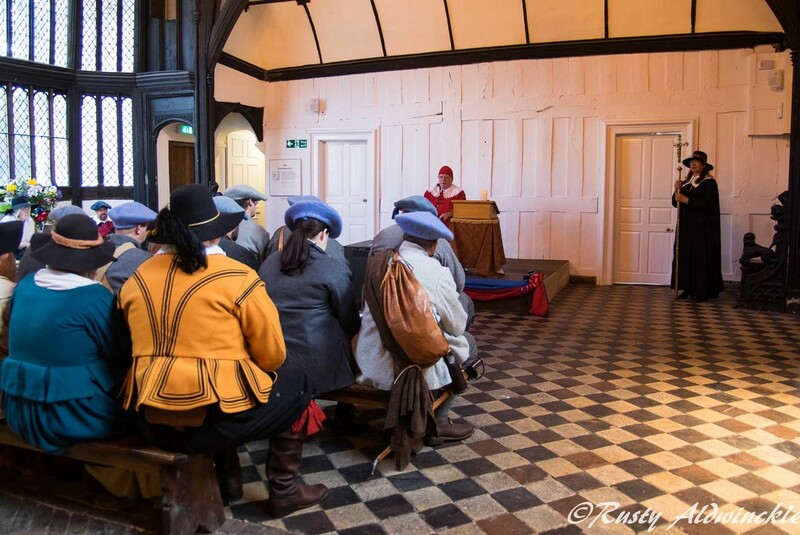 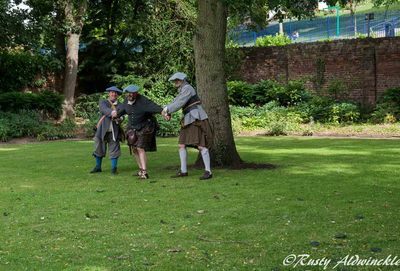 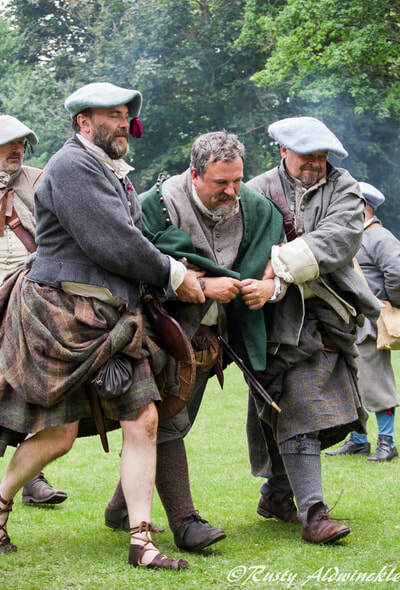 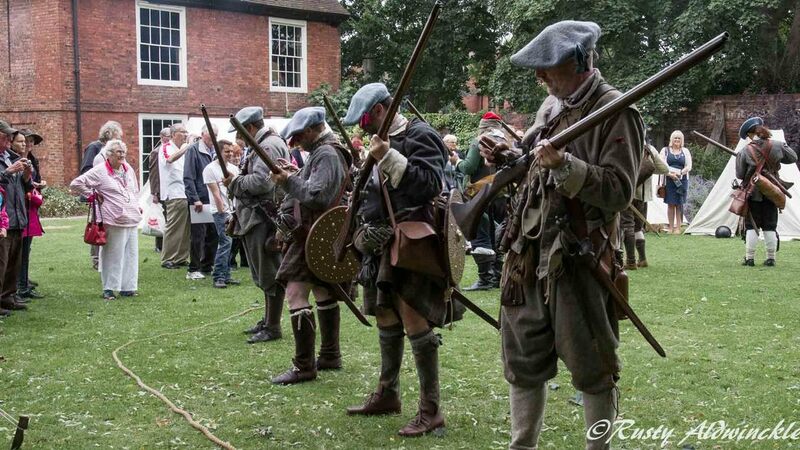 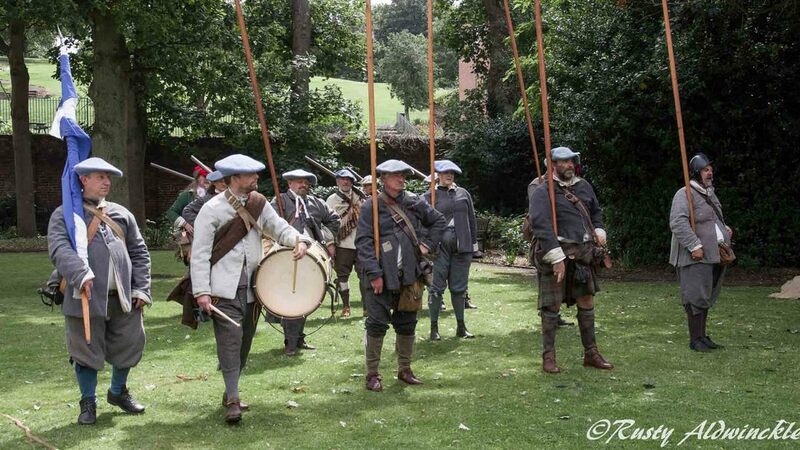 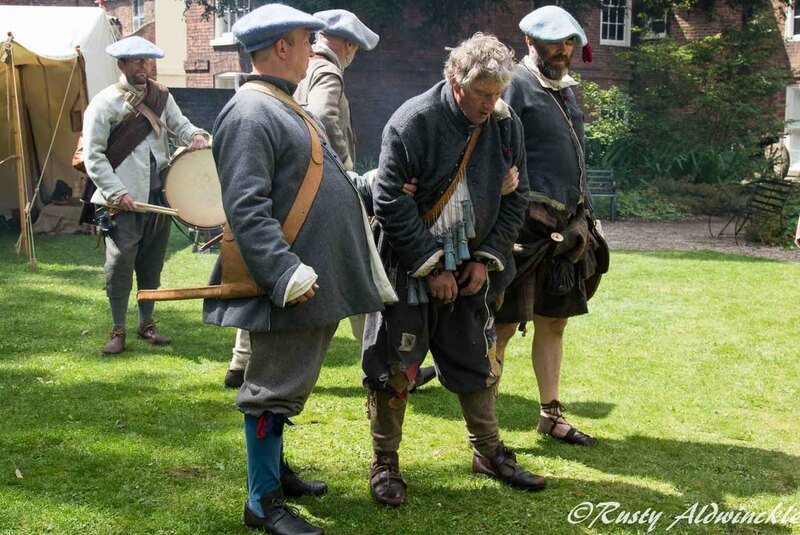 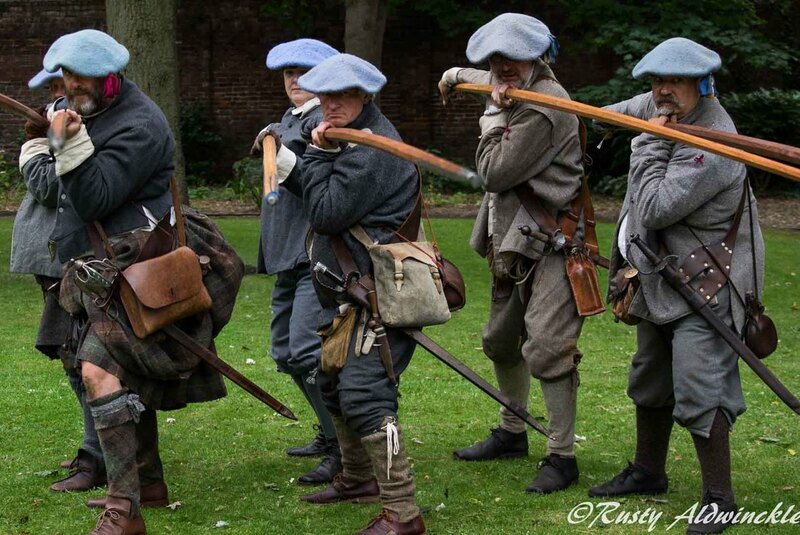 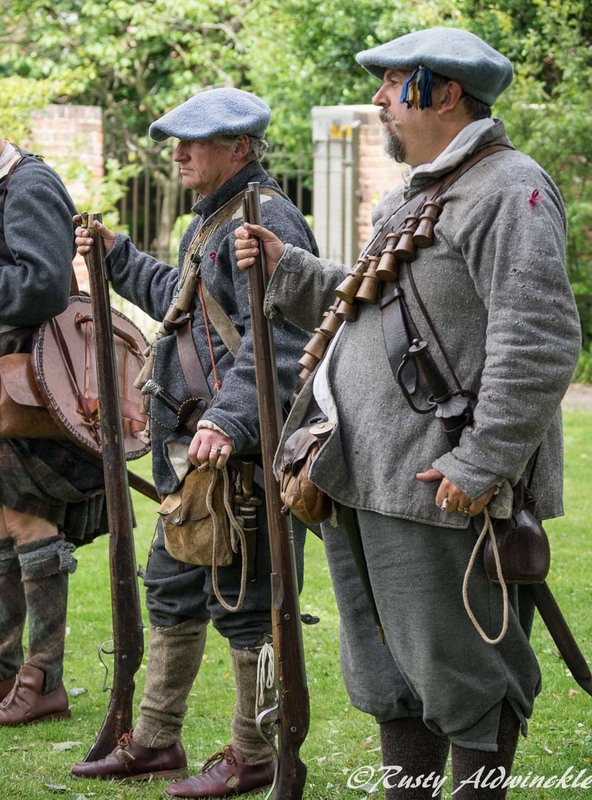 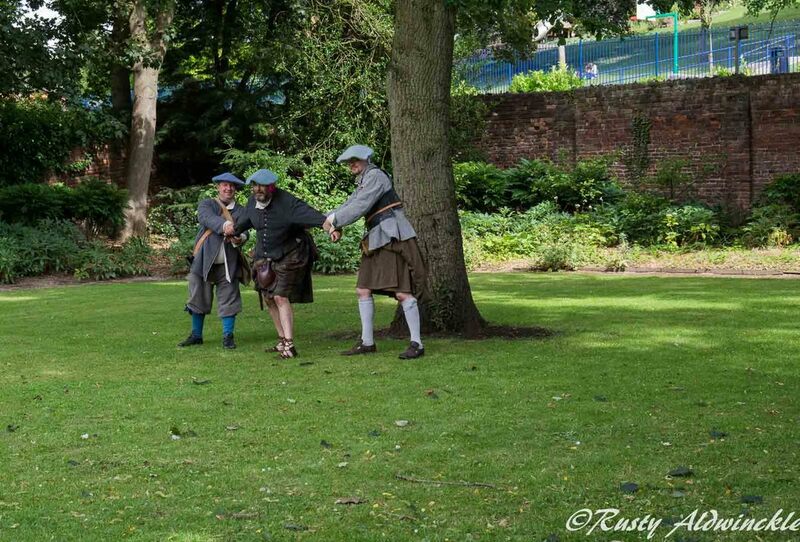 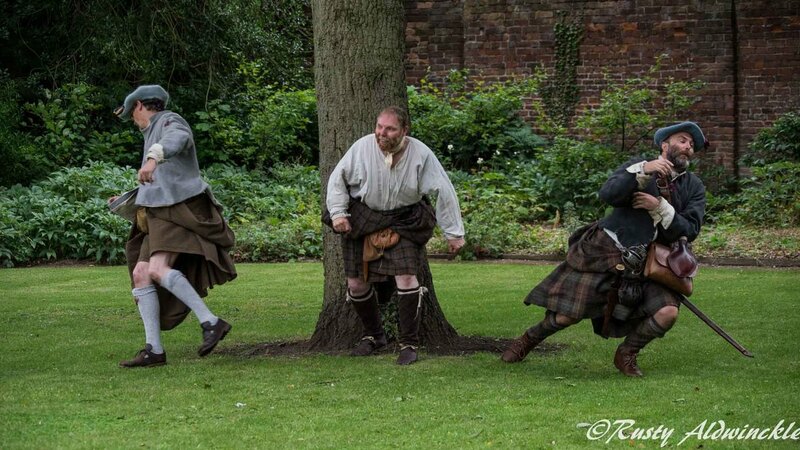 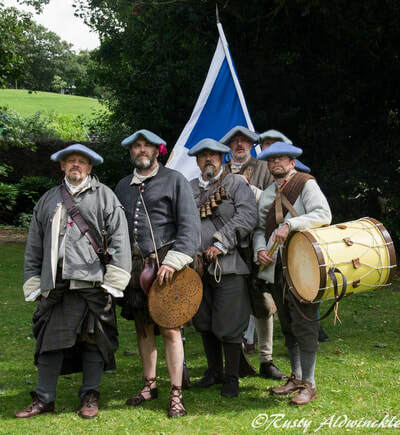 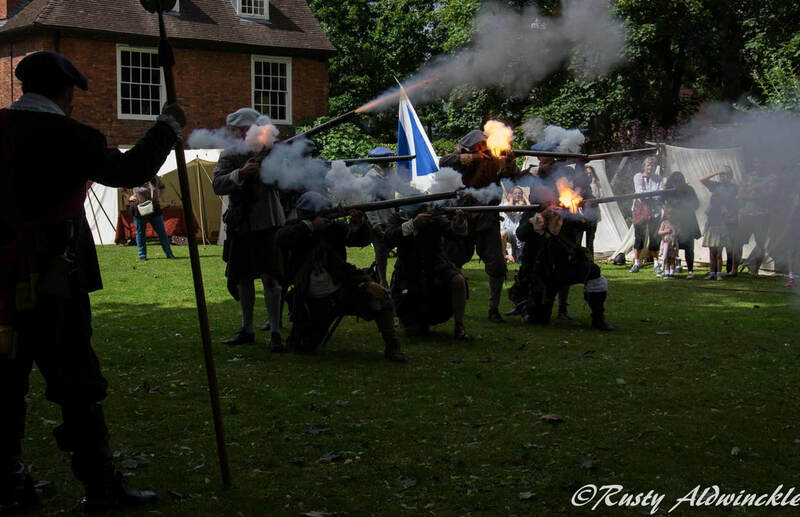 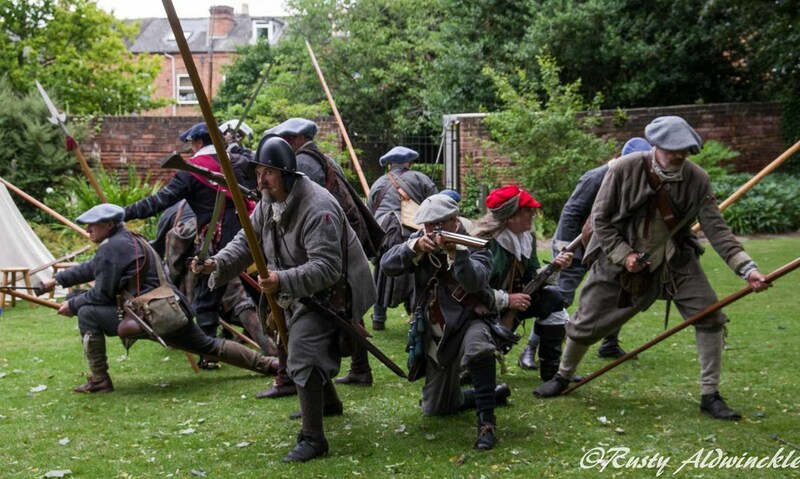 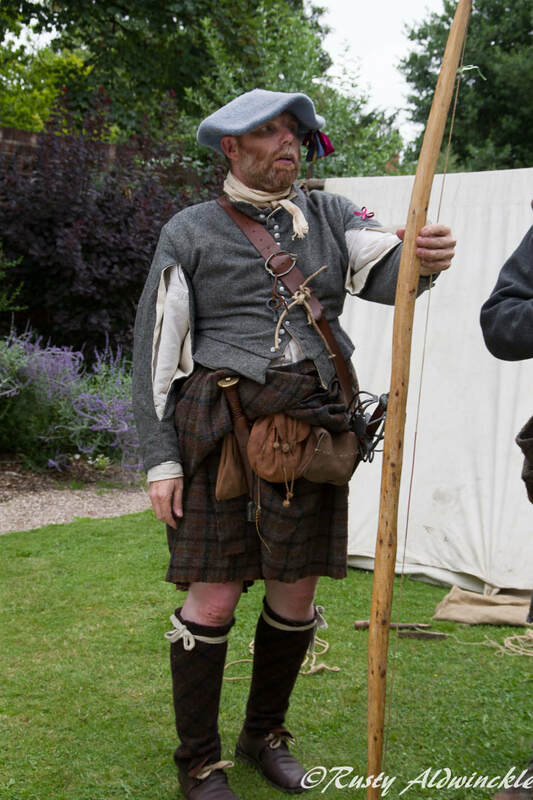 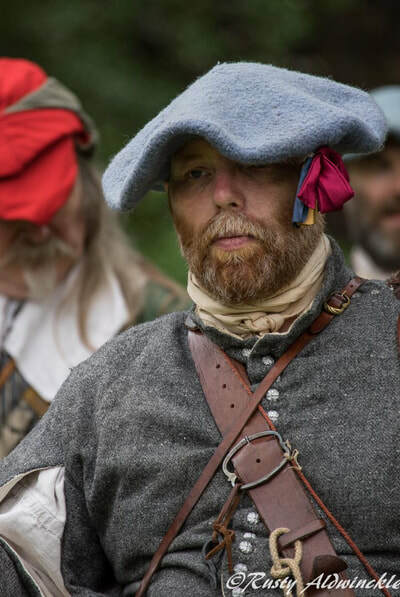 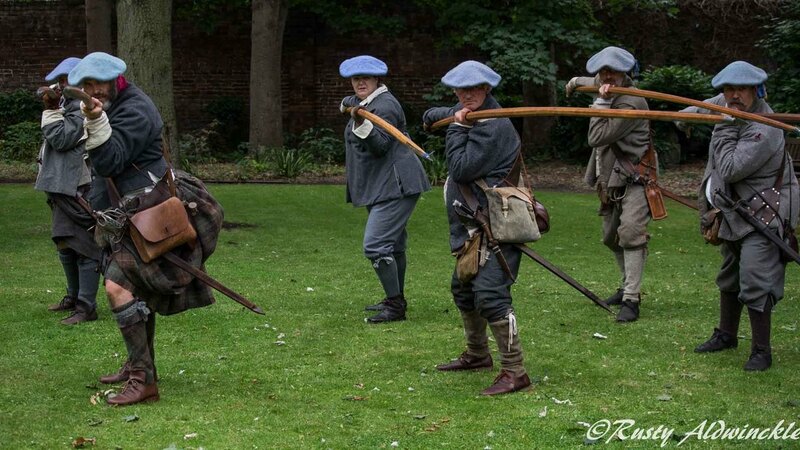 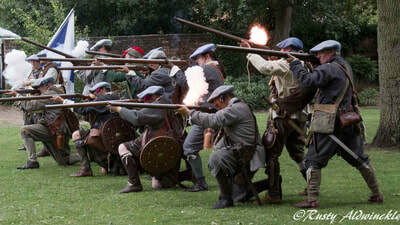 Members of the Scots Brigade, Sealed Knot Society with invited guests brought to life the Commandery in the year 1651 when thousands of Scots took up residence in the area during 'The Last Battle' of the English Civil Wars. 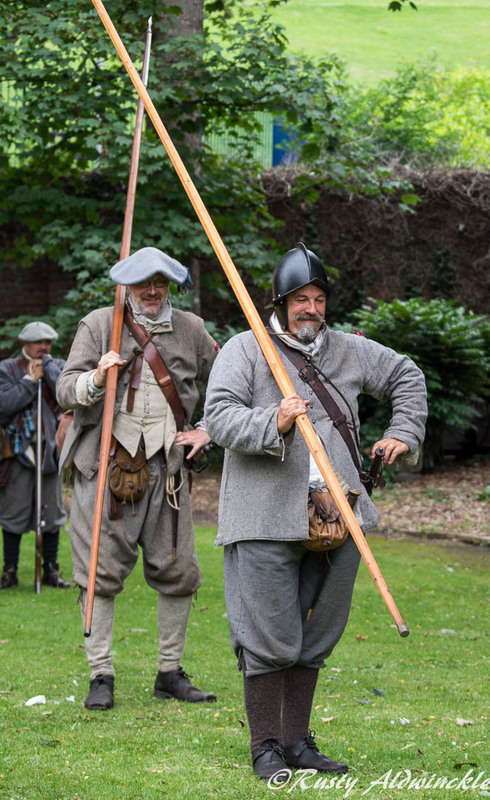 There are a few places that claim this title but Worcester appears to be the largest and has gained the notoriety, so we'll settle for this unless somebody has conflicting evidence. 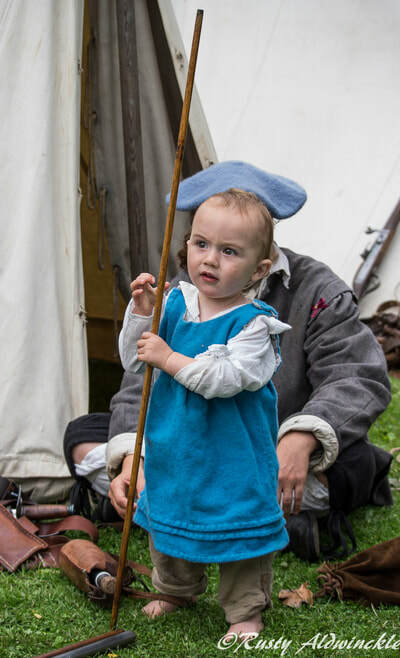 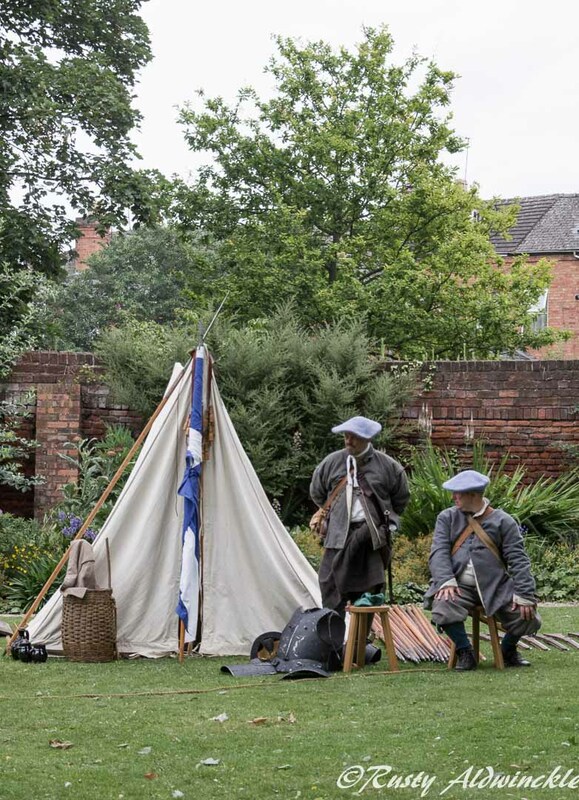 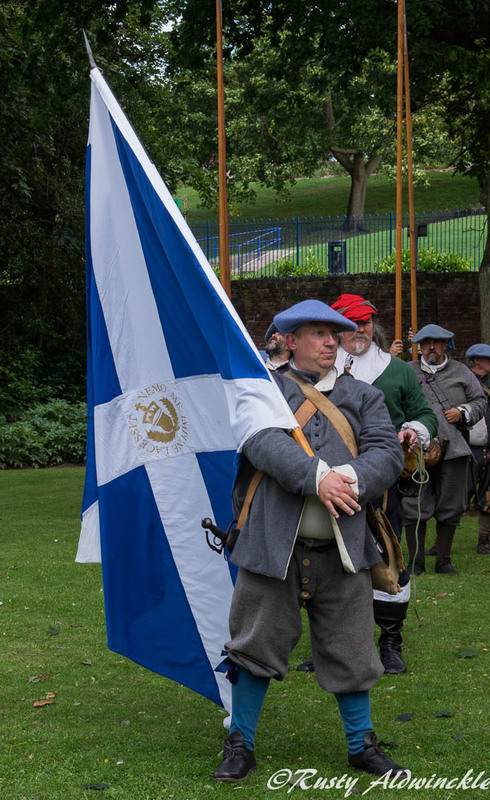 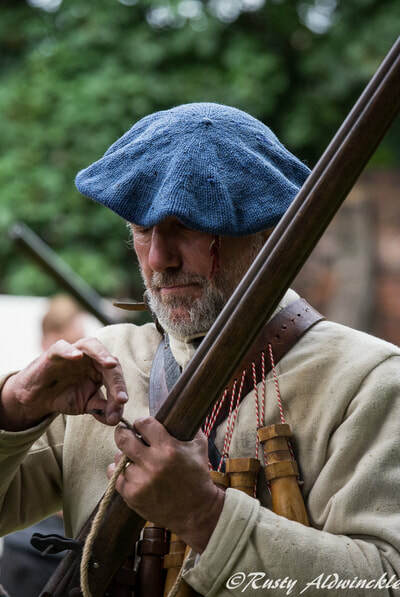 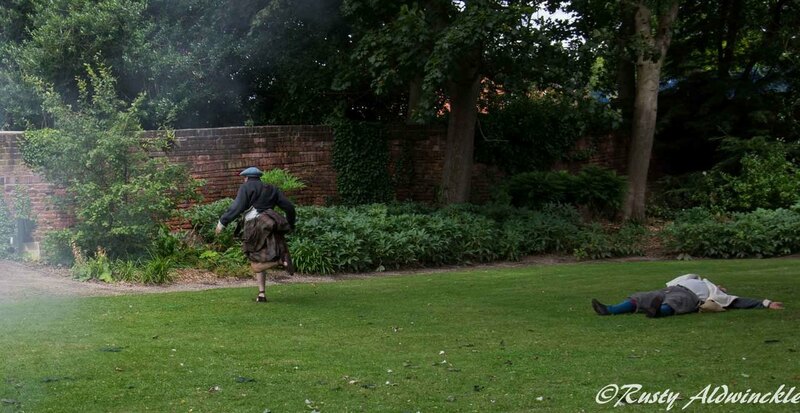 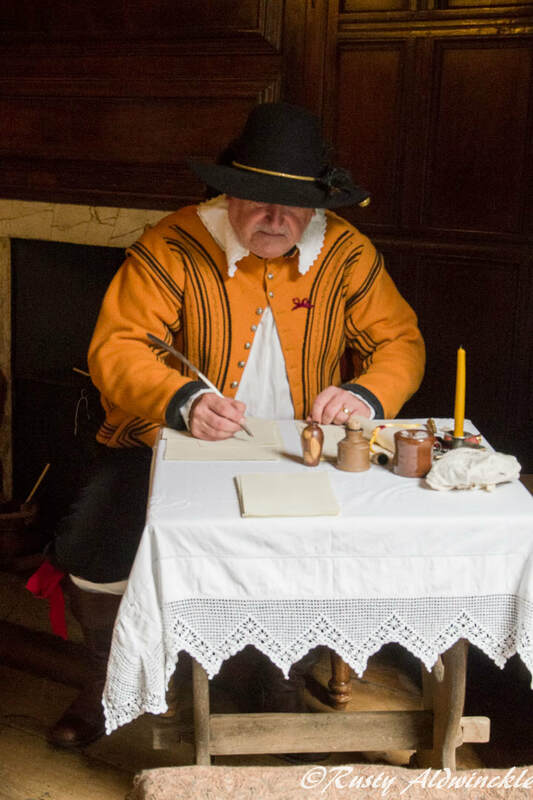 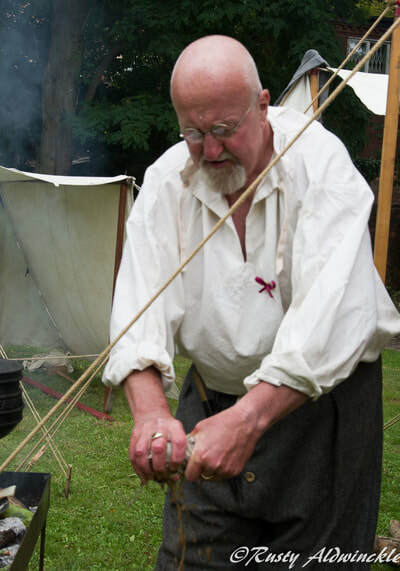 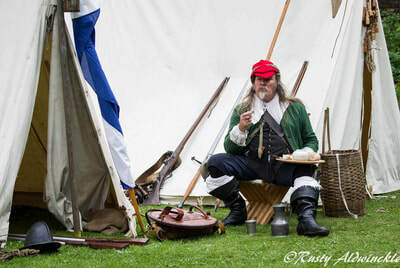 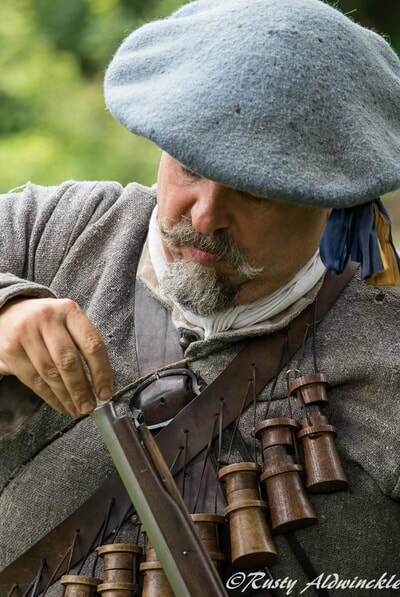 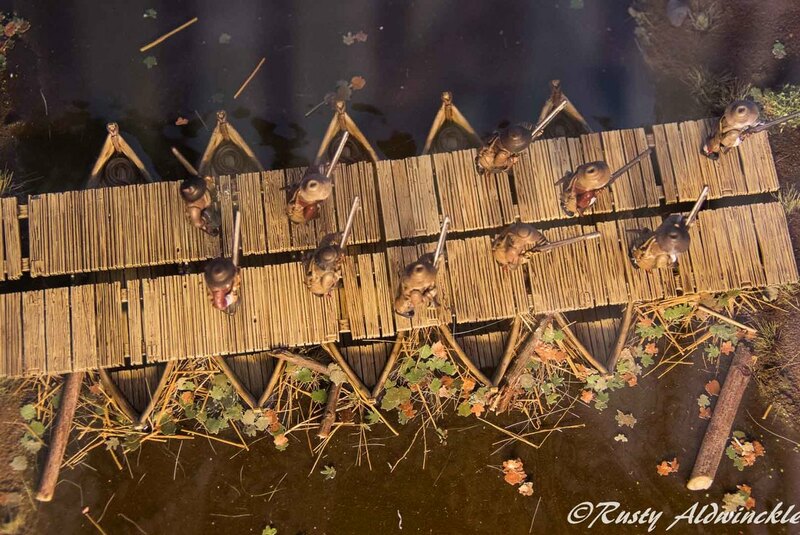 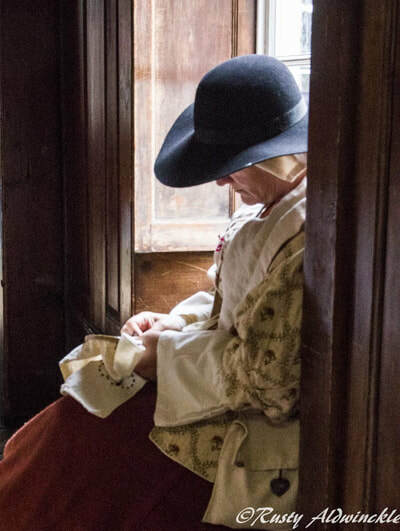 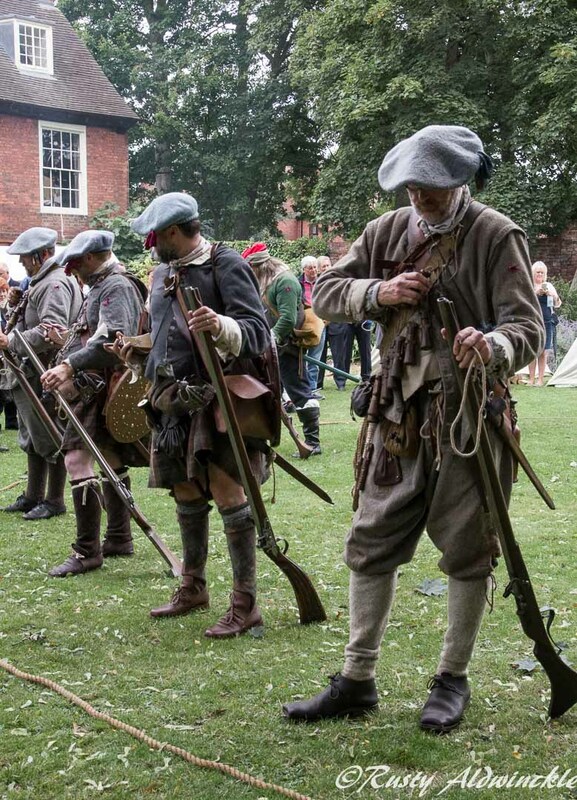 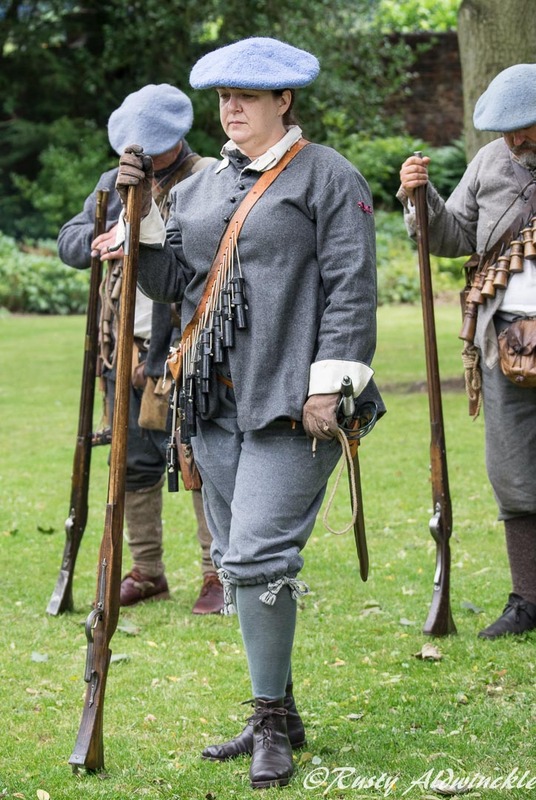 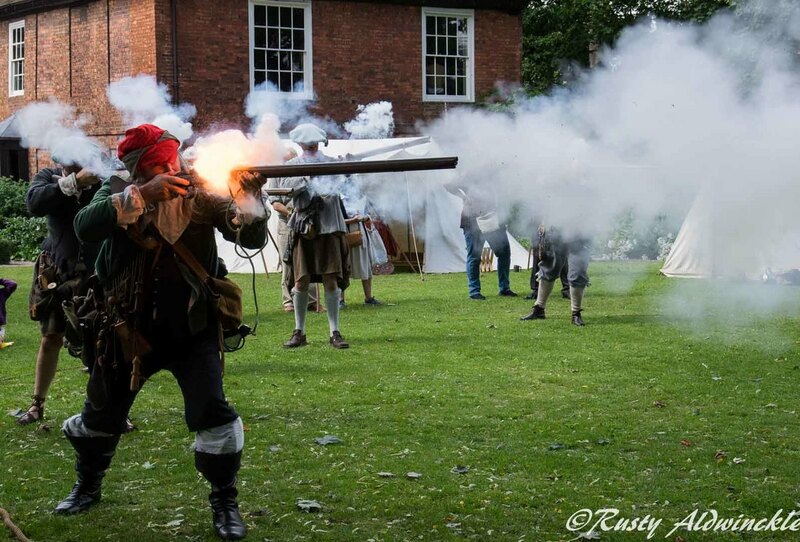 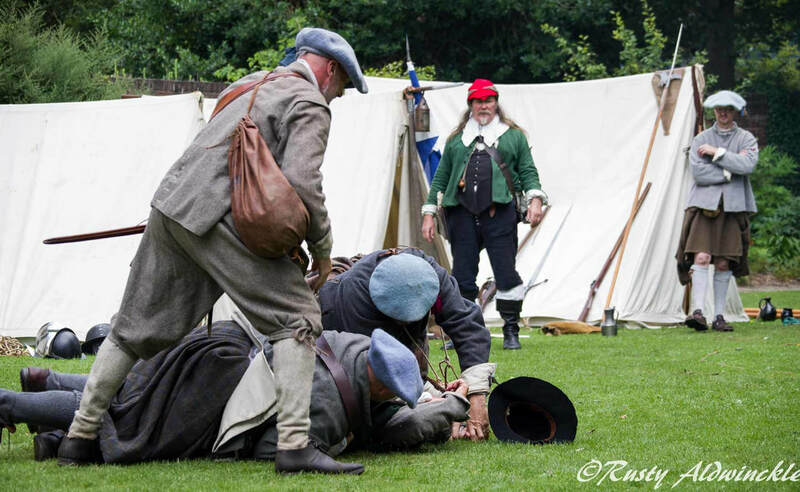 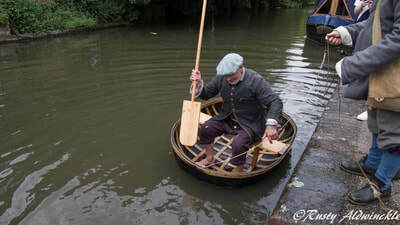 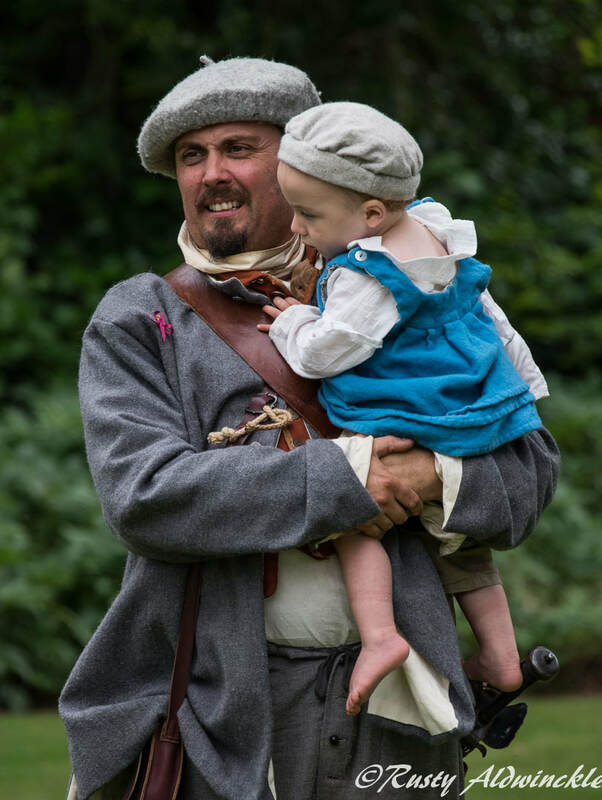 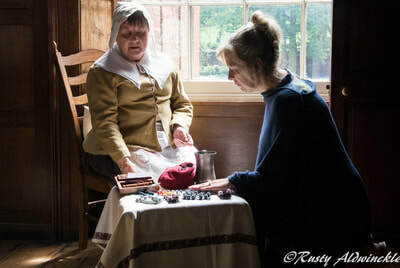 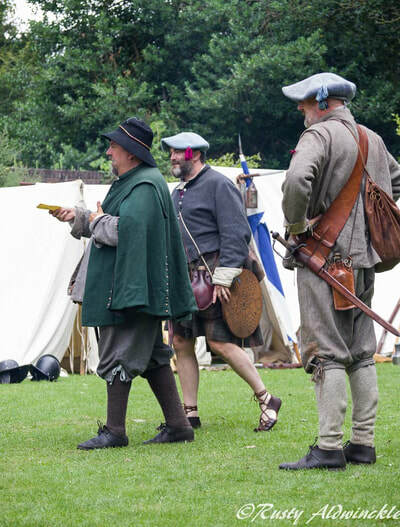 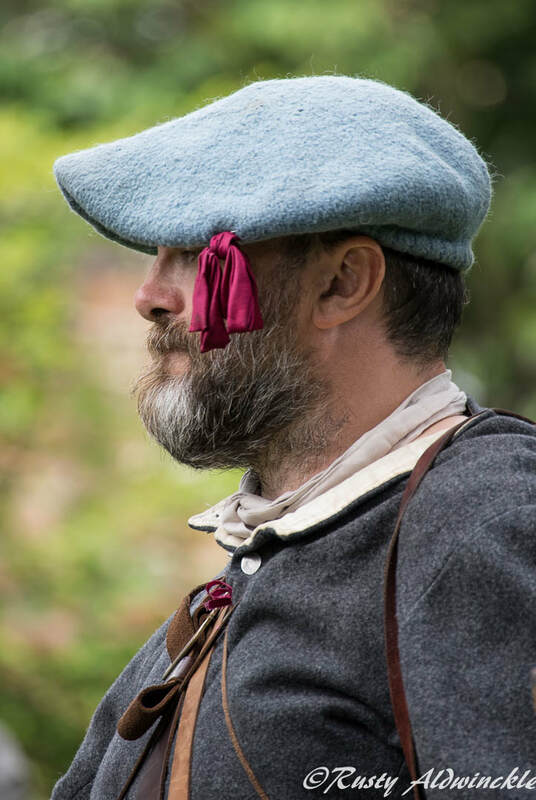 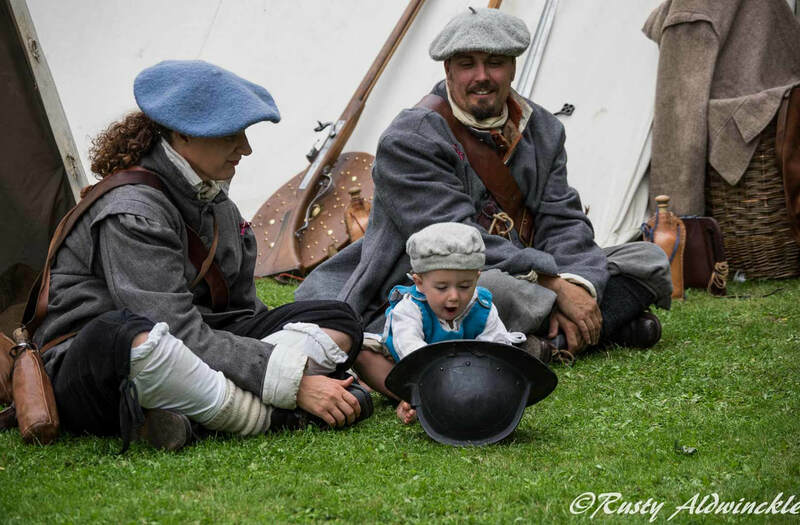 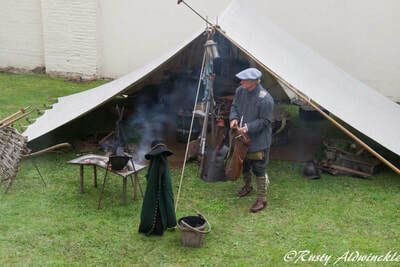 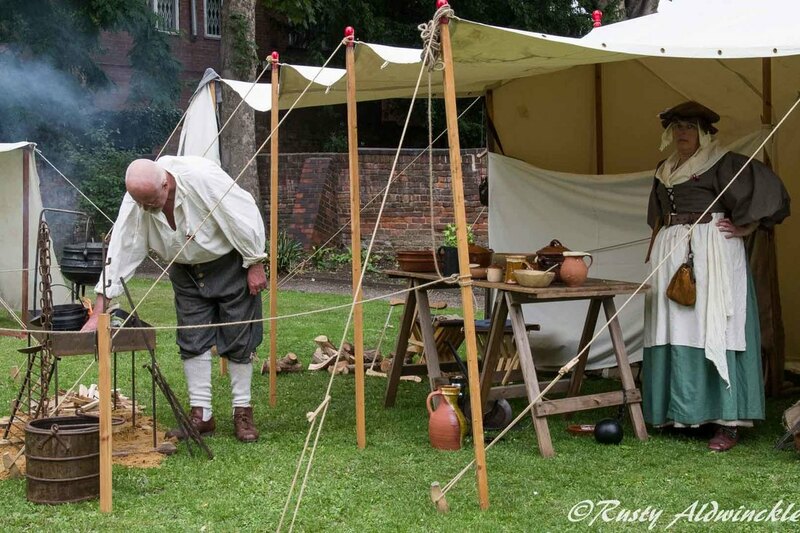 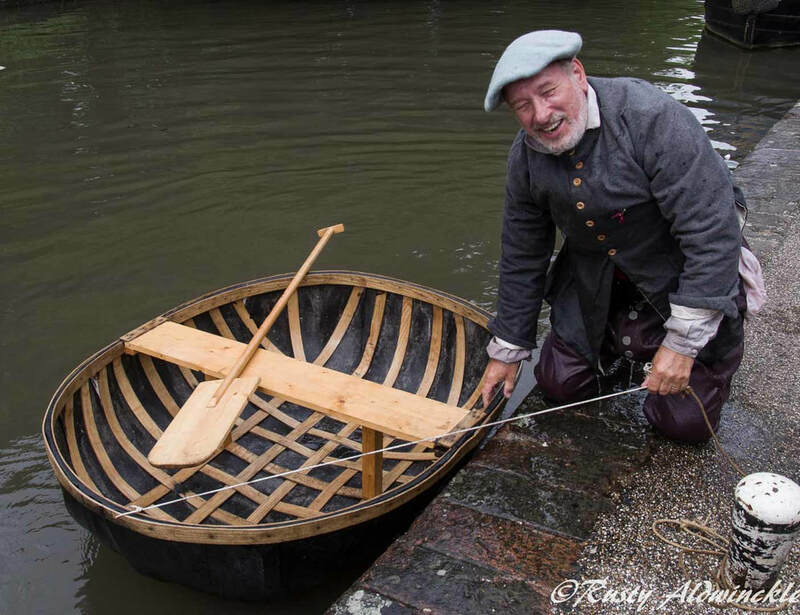 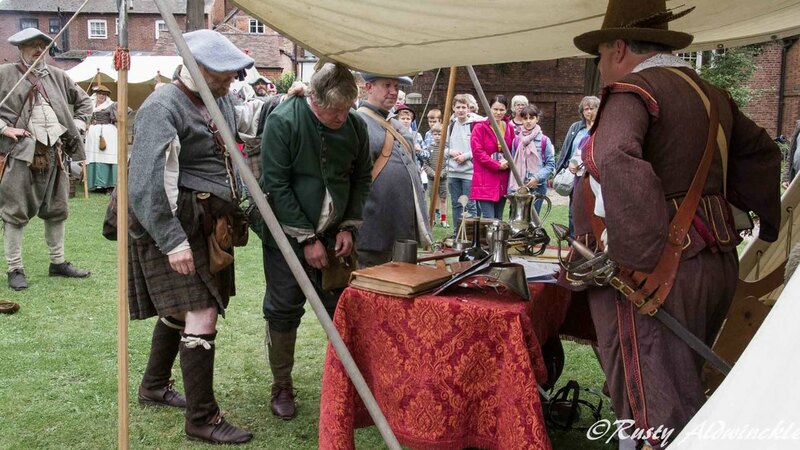 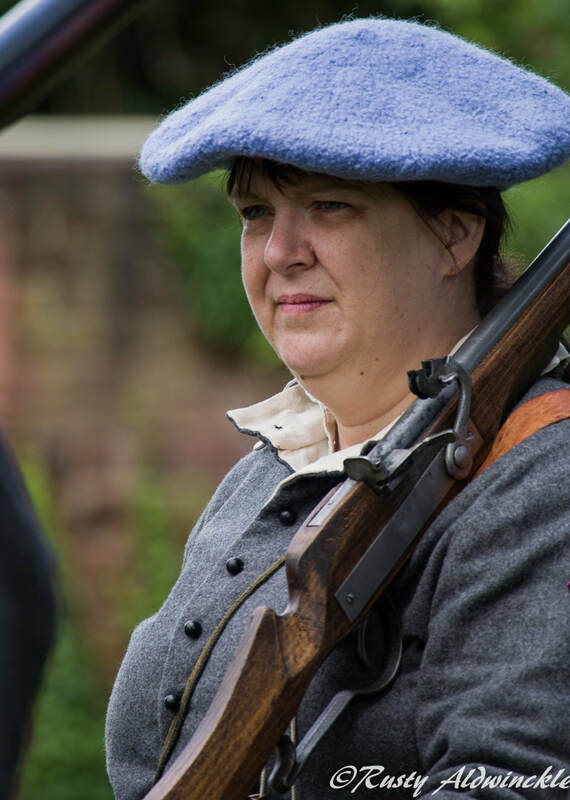 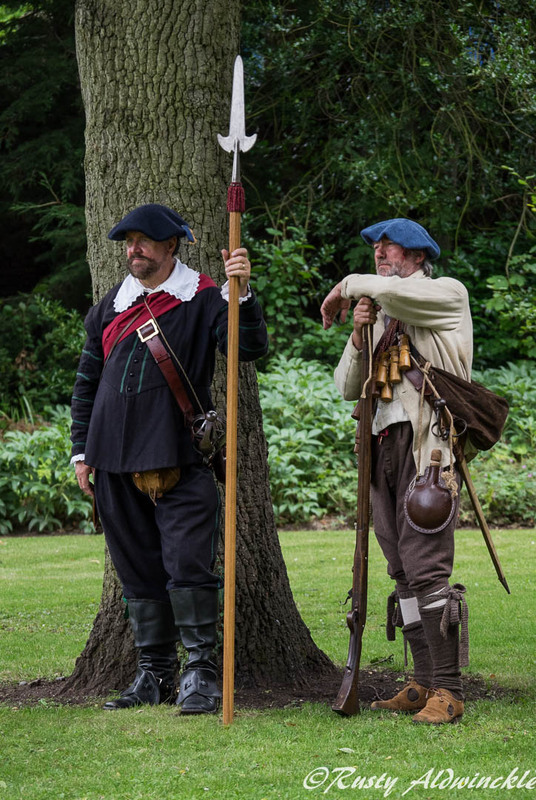 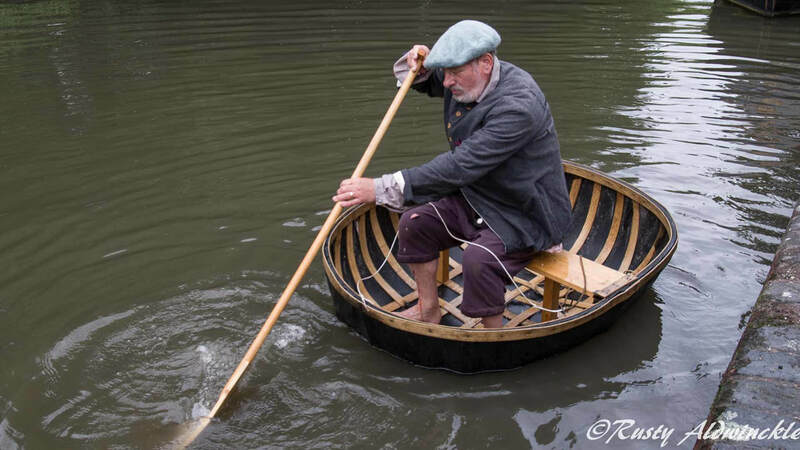 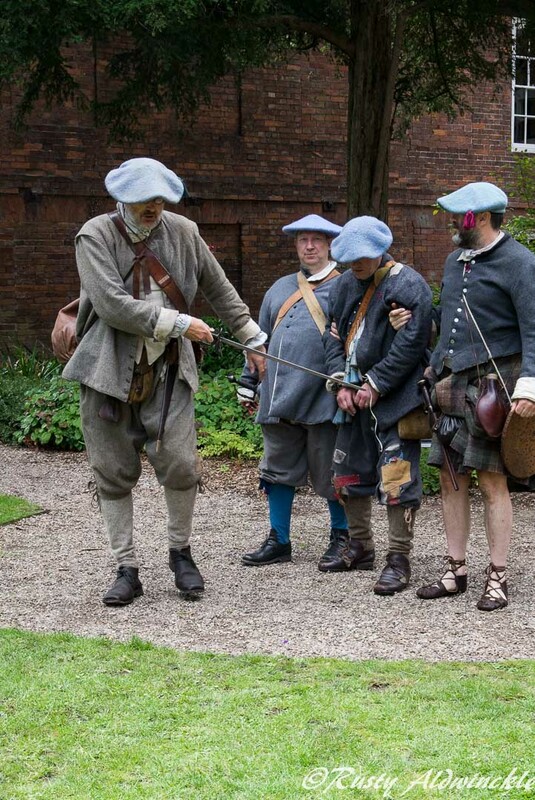 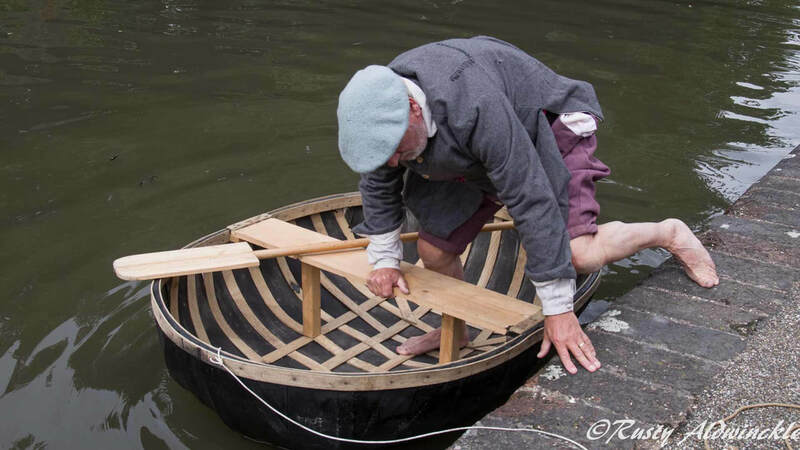 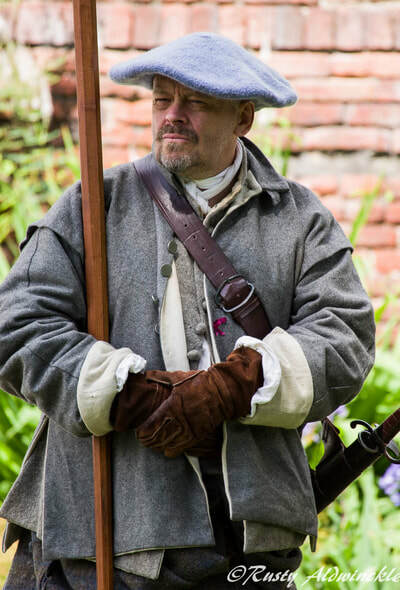 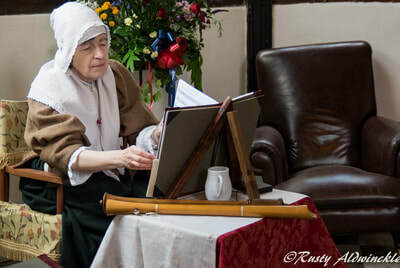 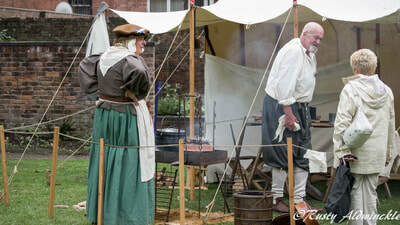 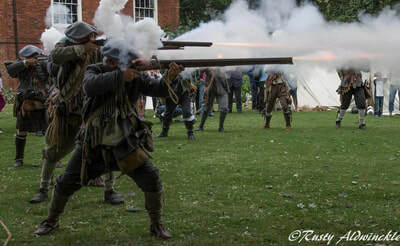 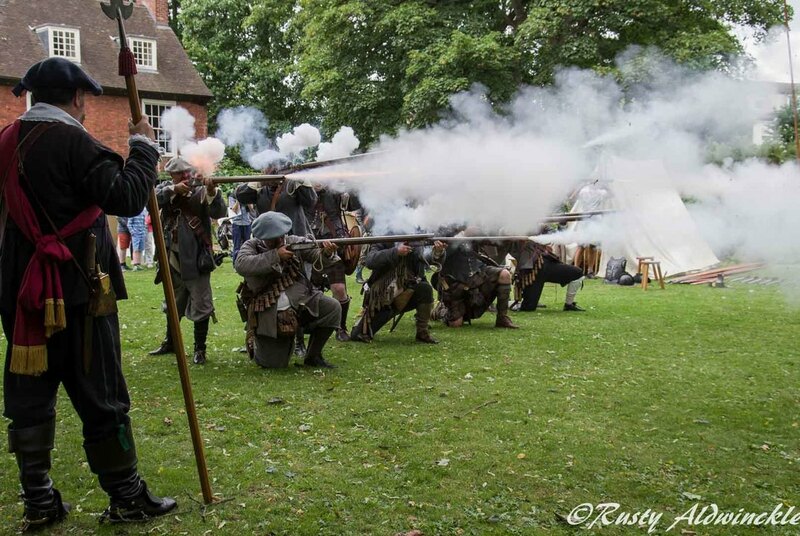 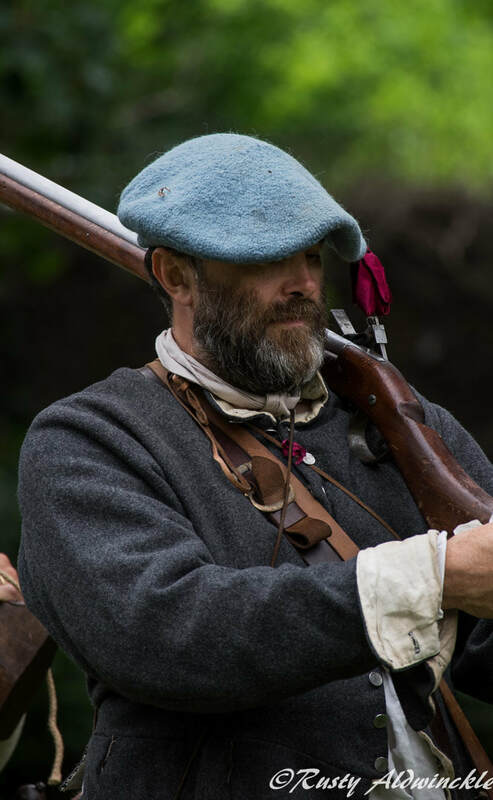 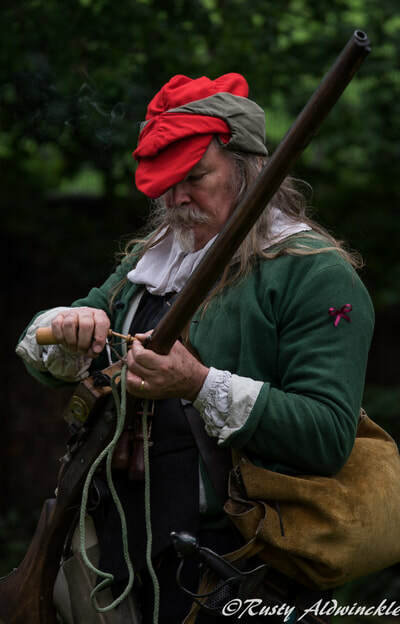 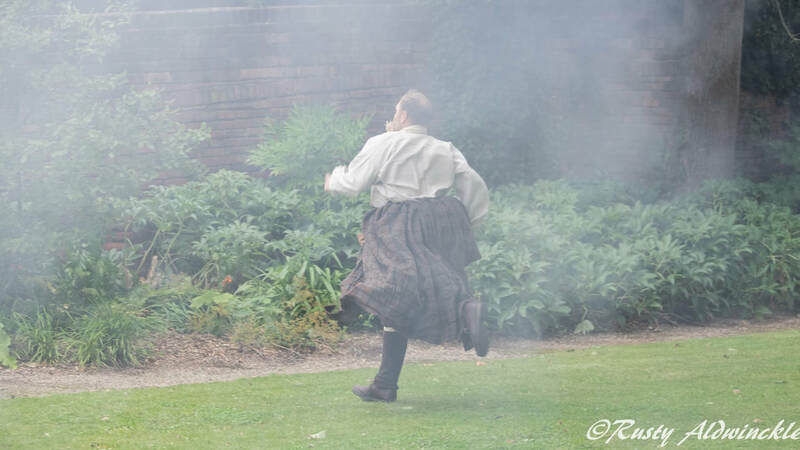 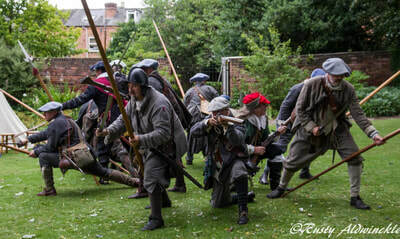 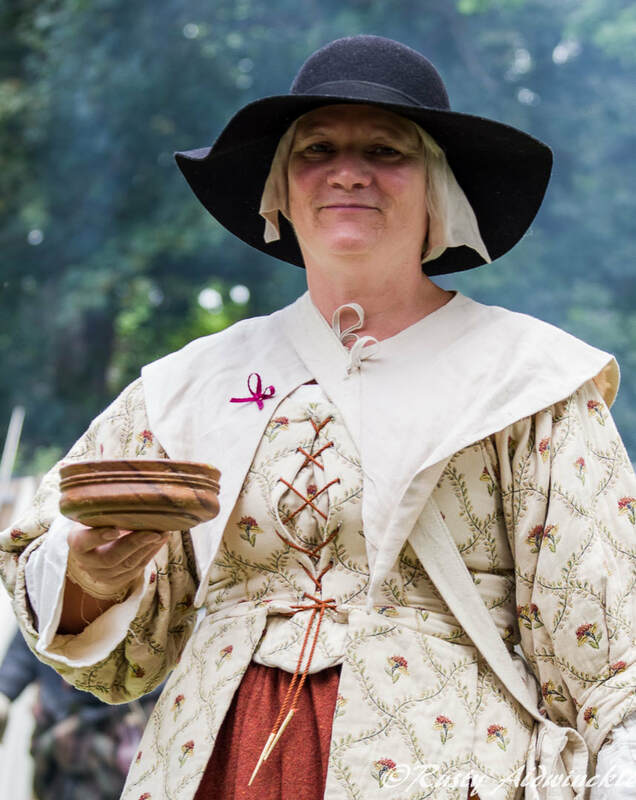 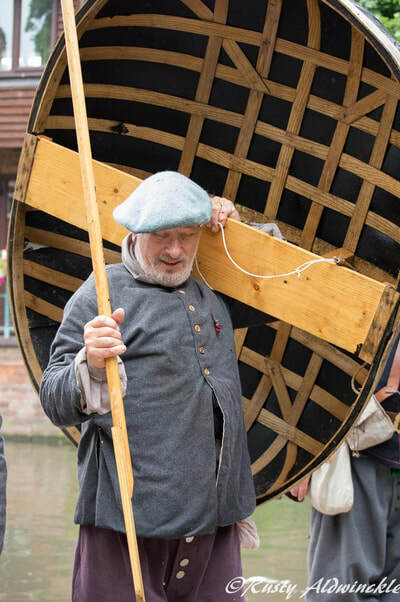 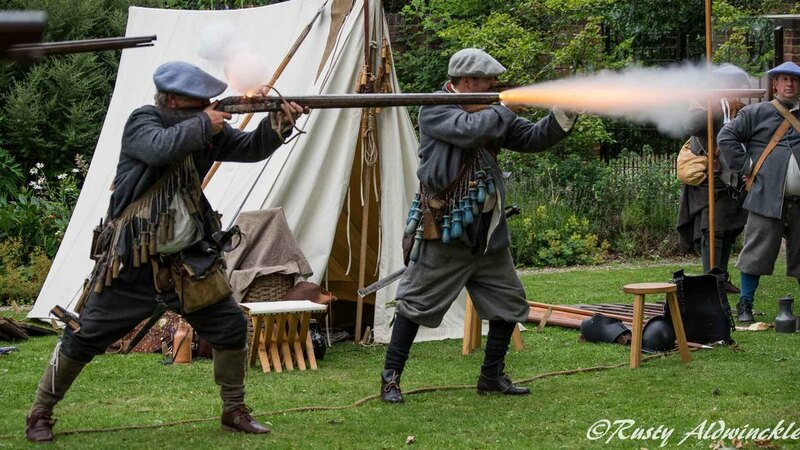 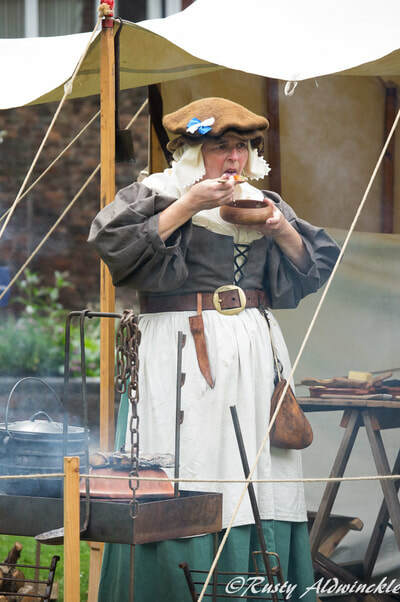 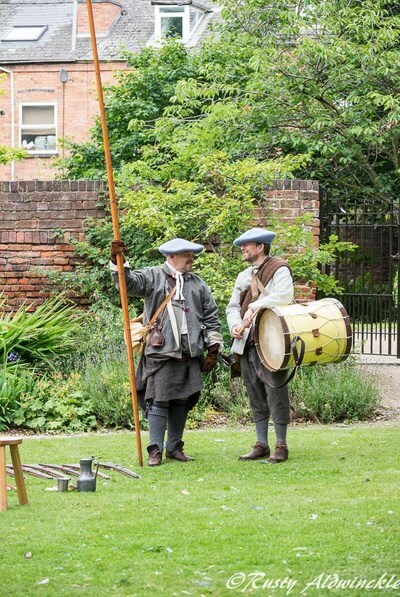 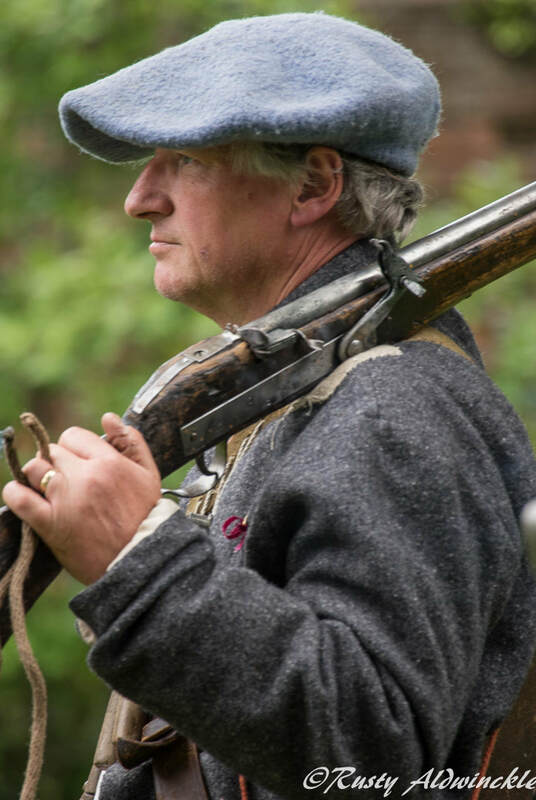 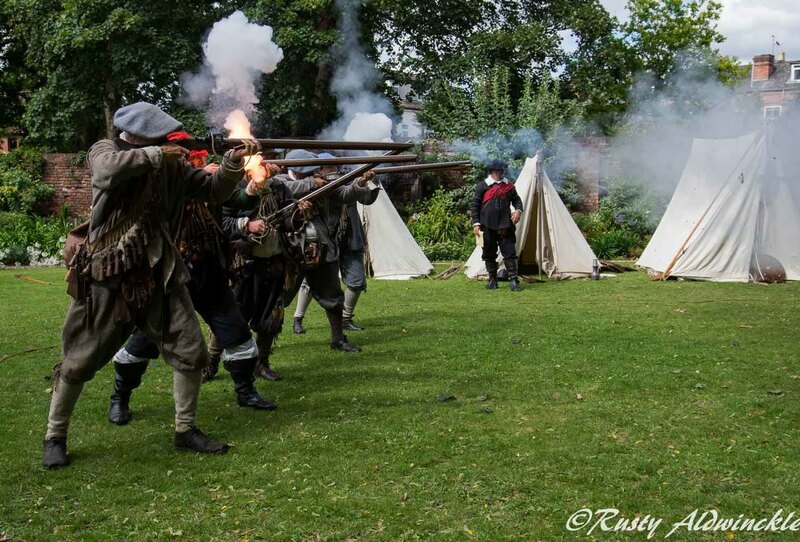 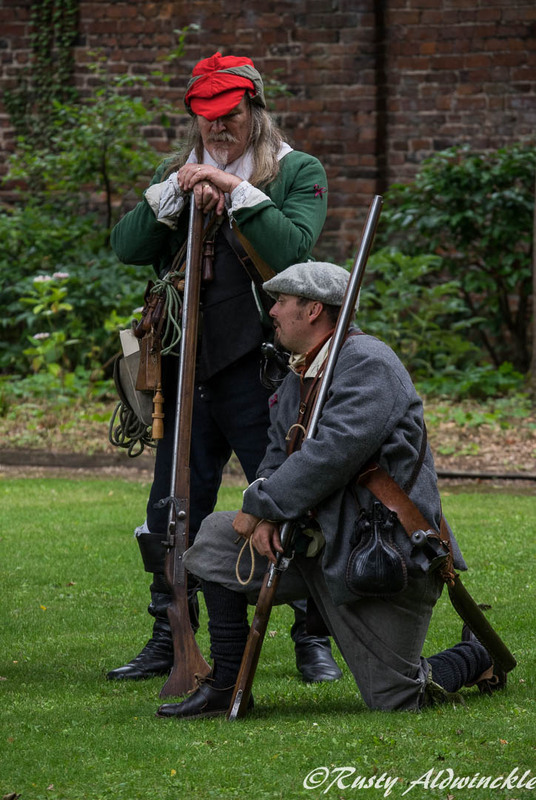 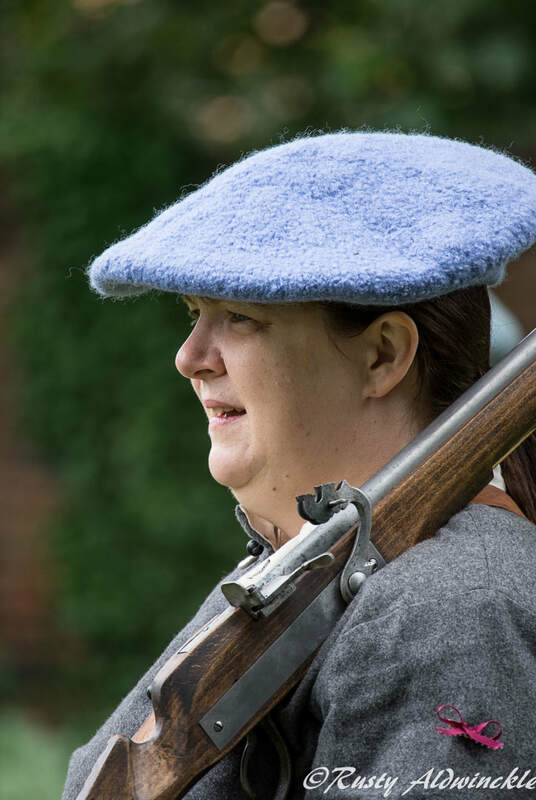 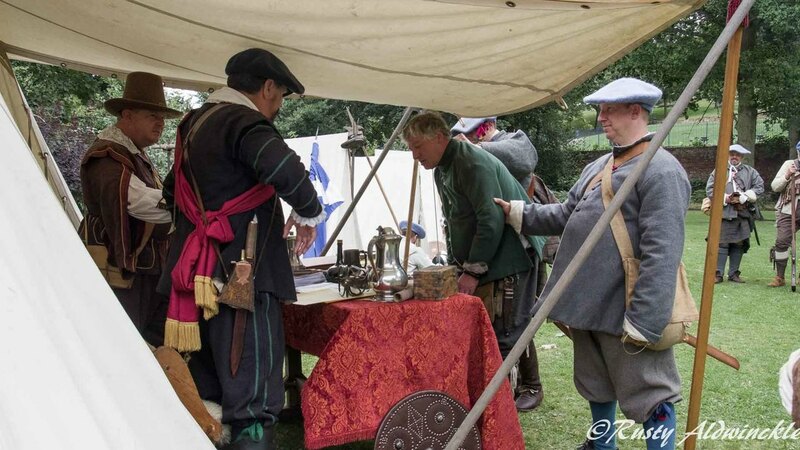 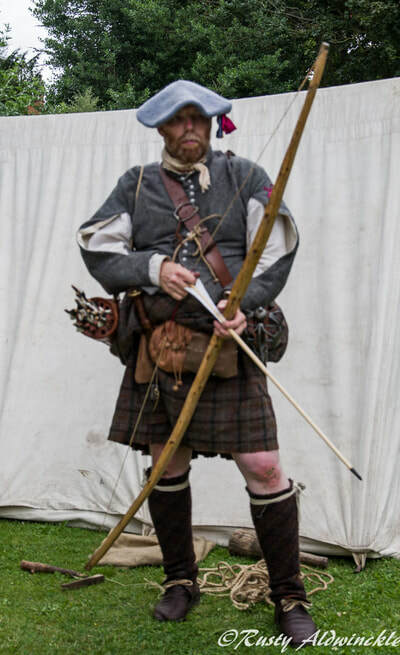 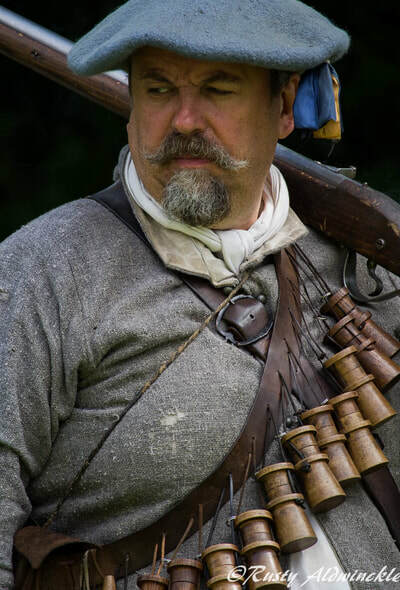 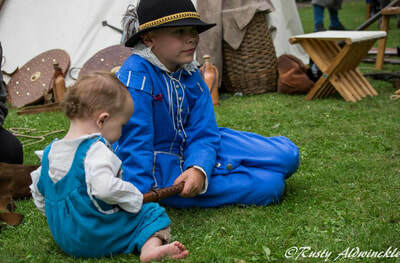 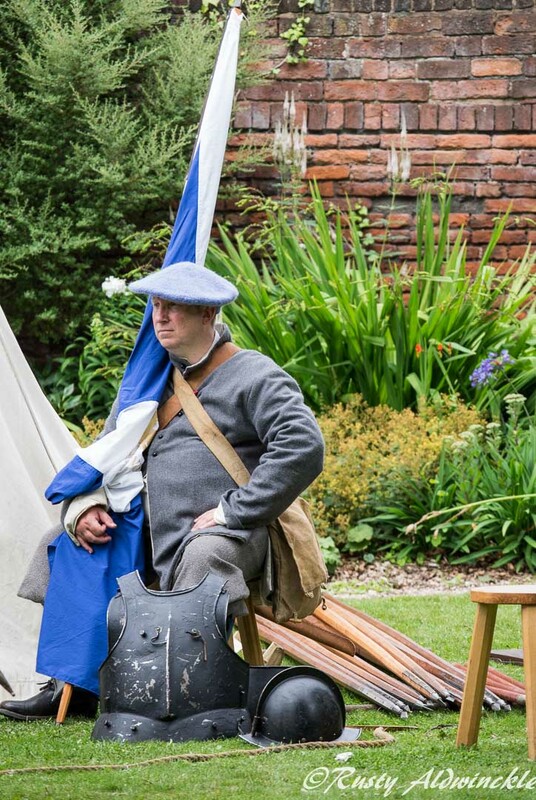 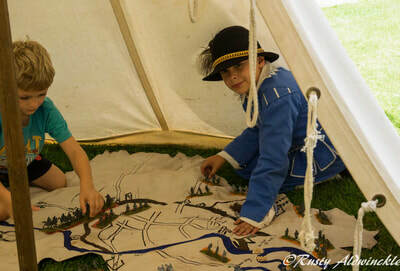 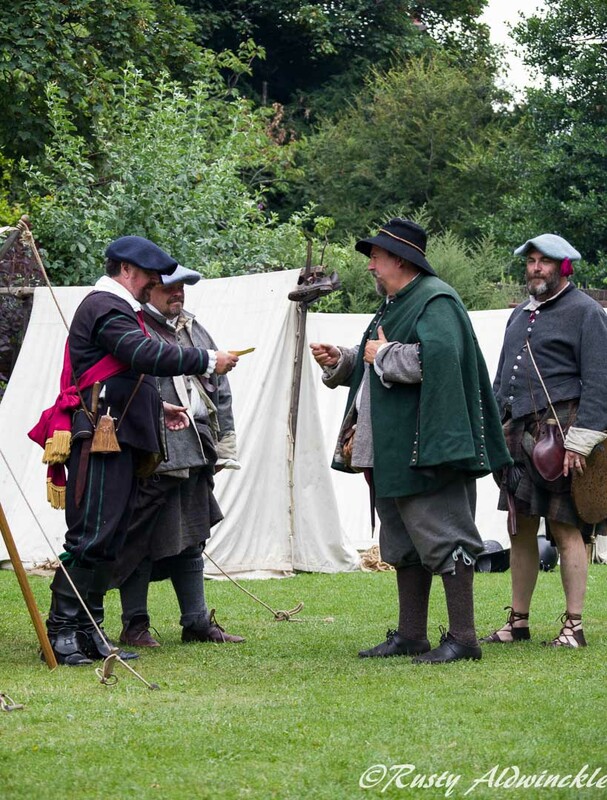 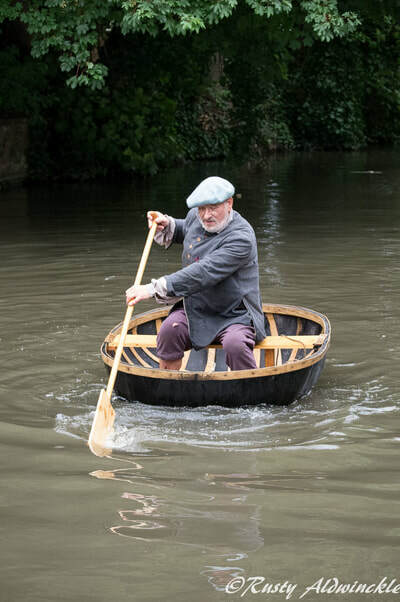 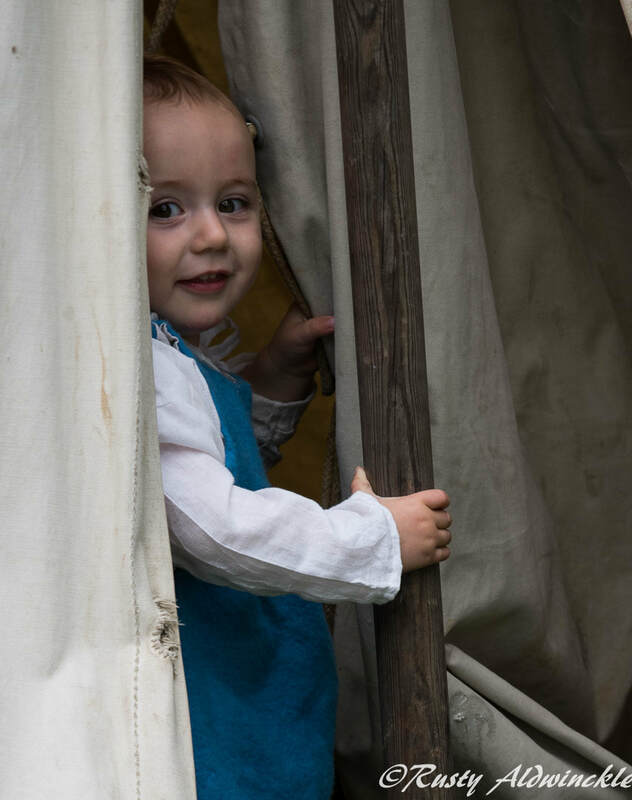 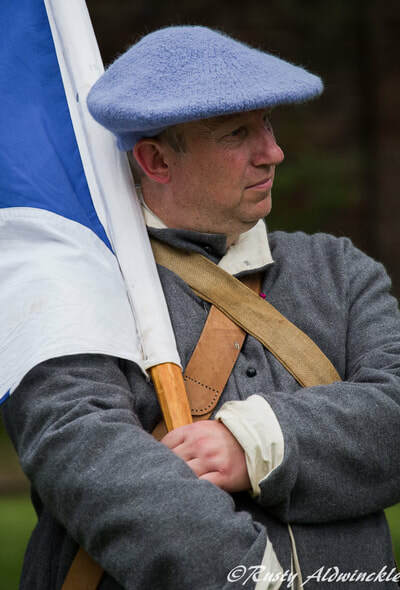 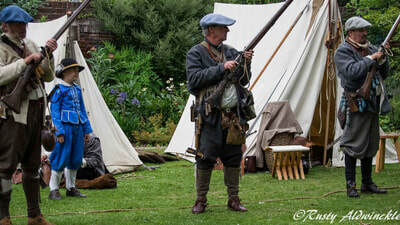 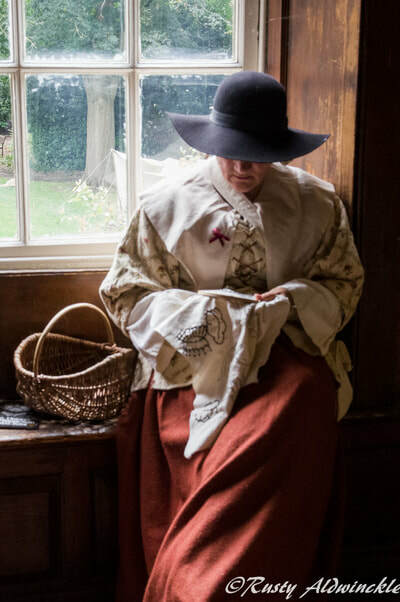 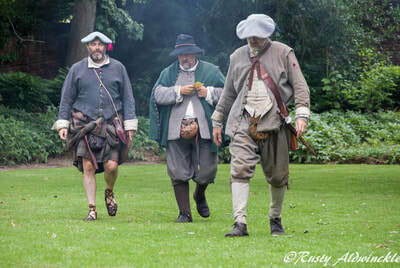 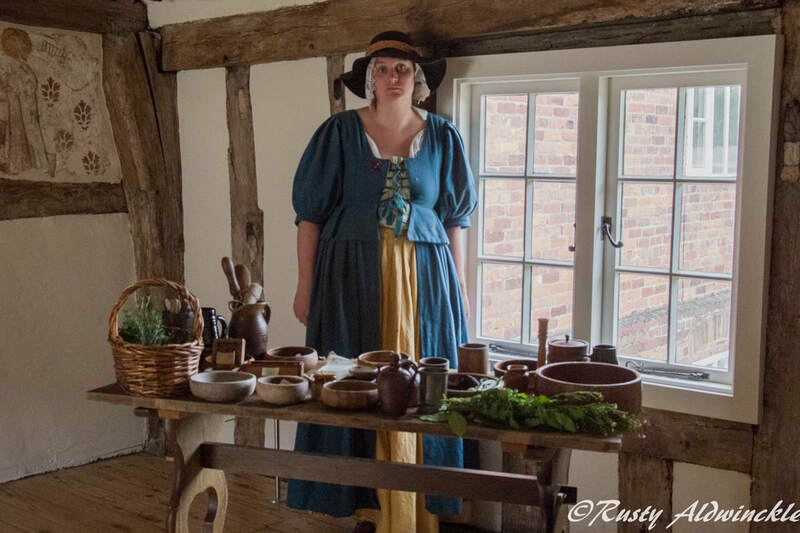 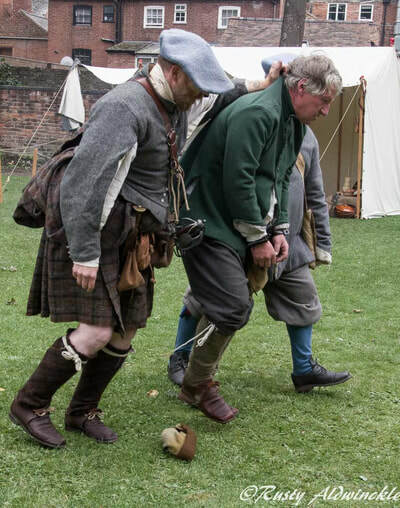 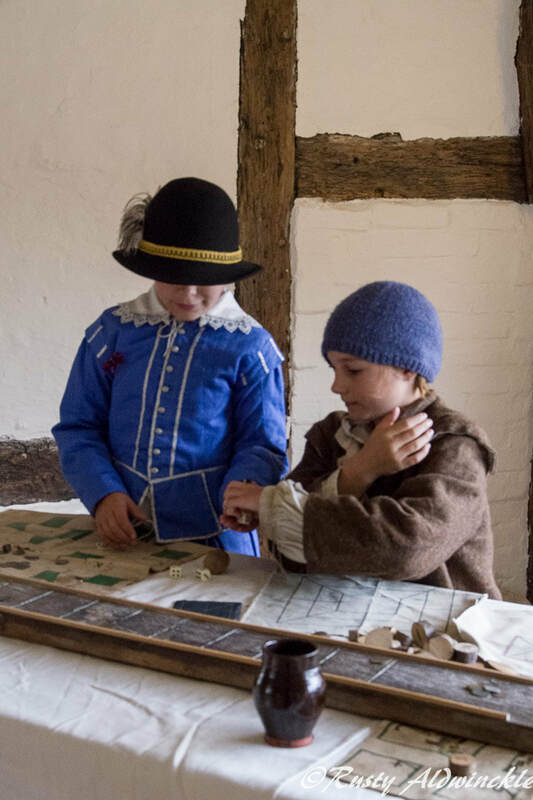 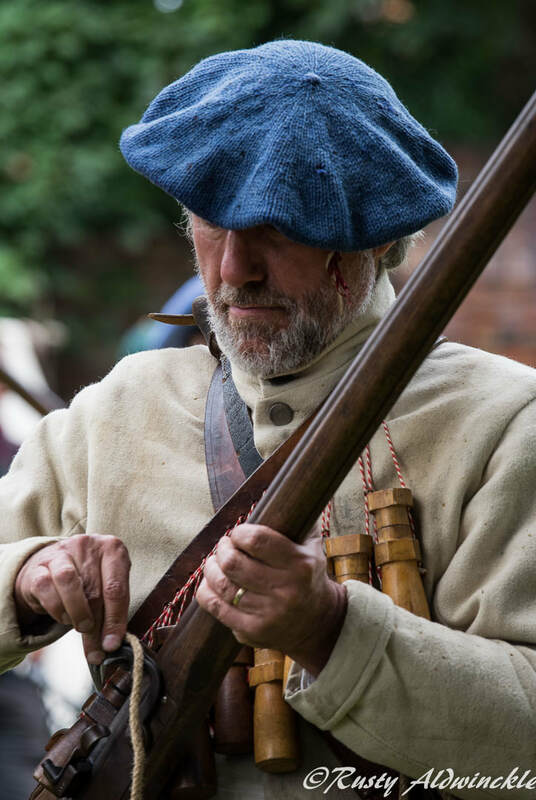 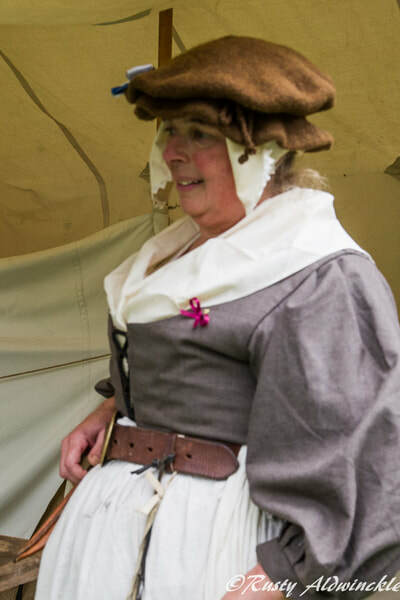 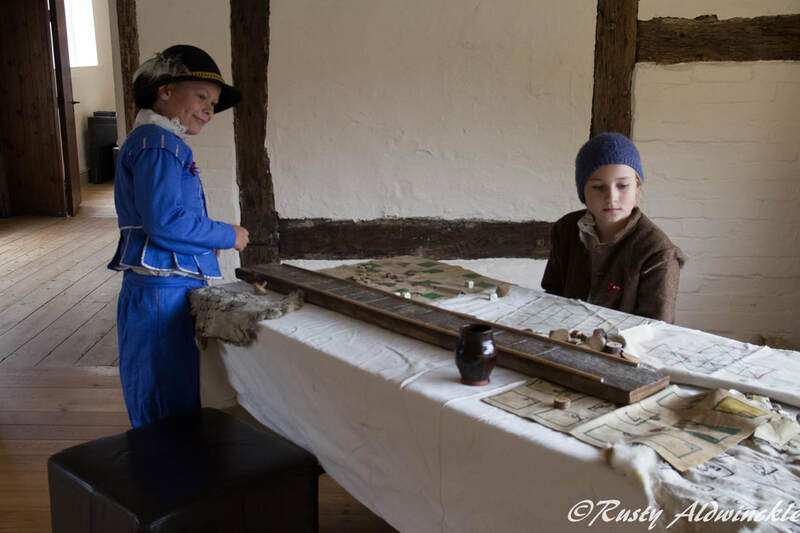 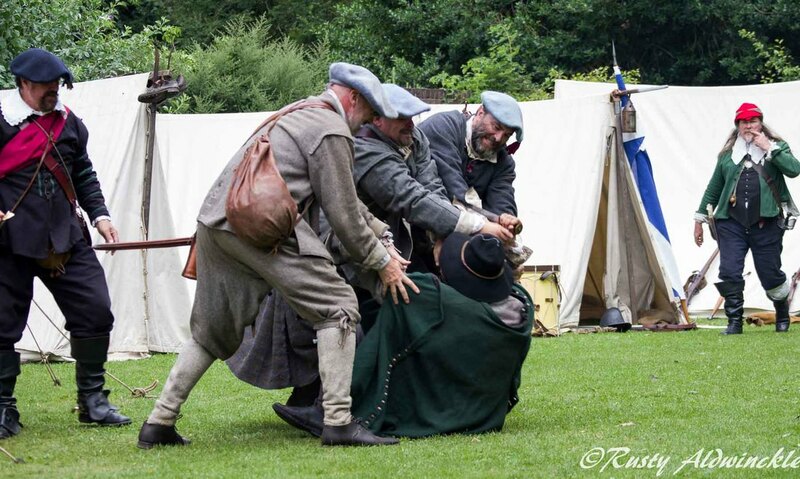 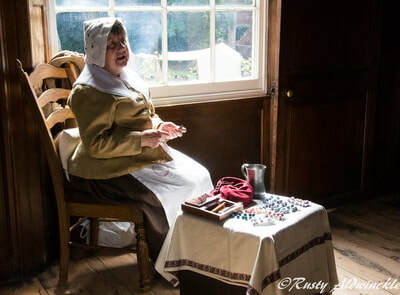 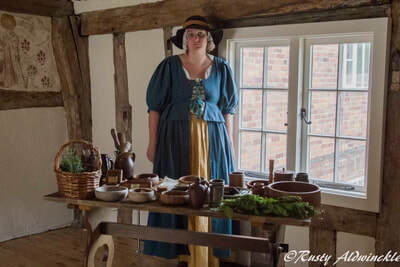 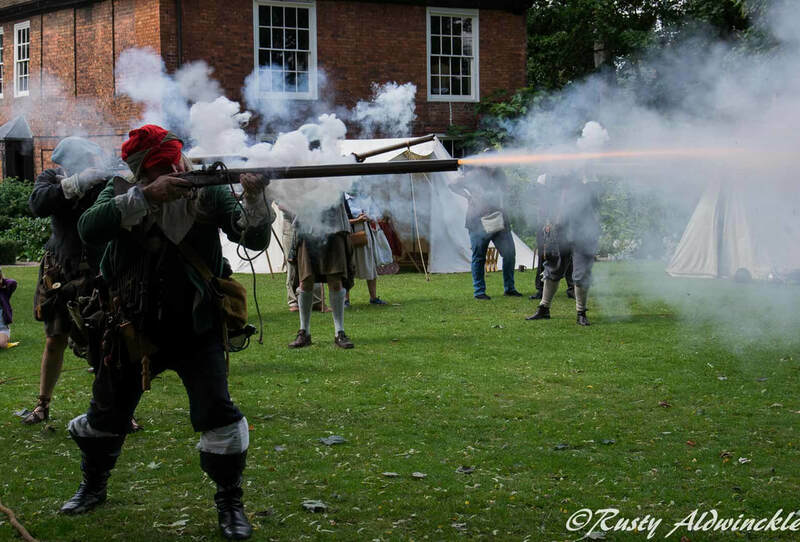 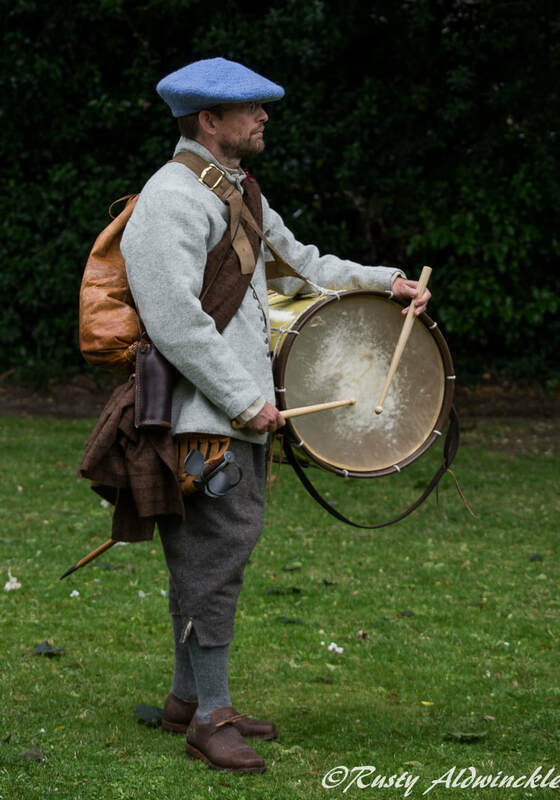 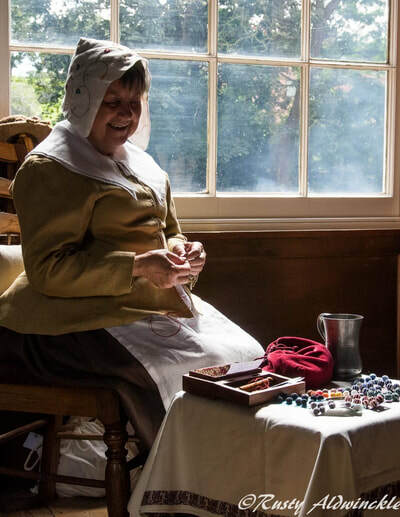 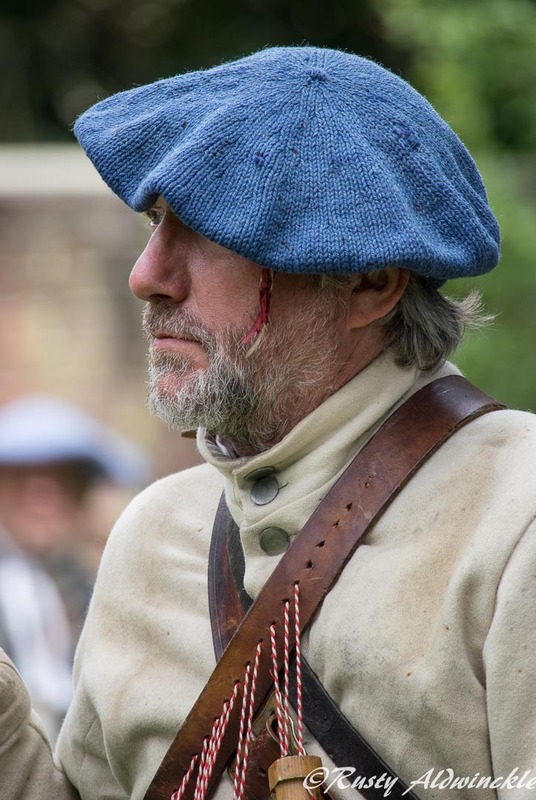 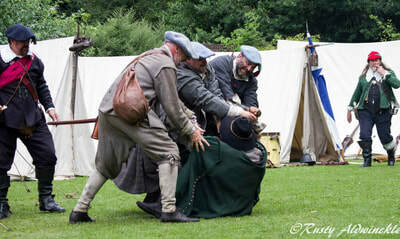 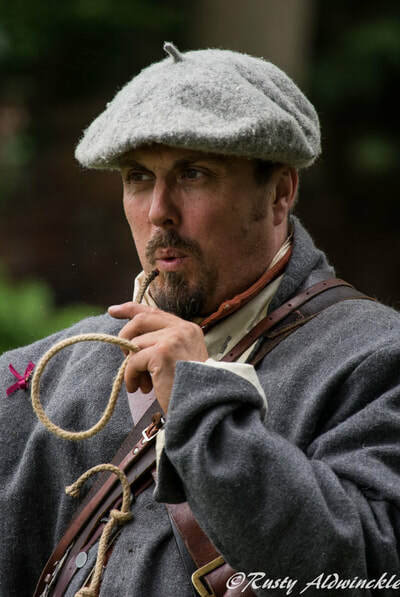 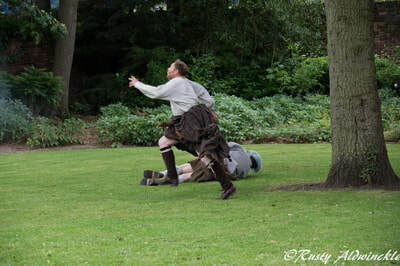 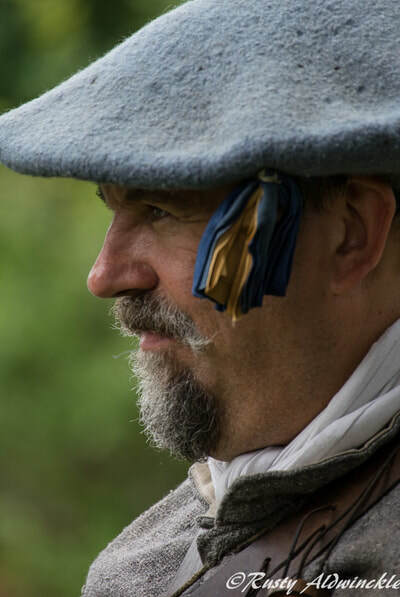 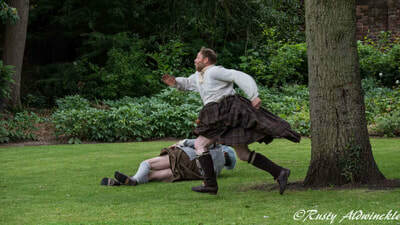 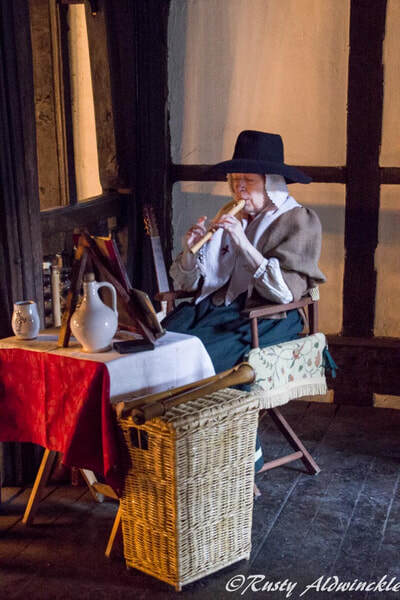 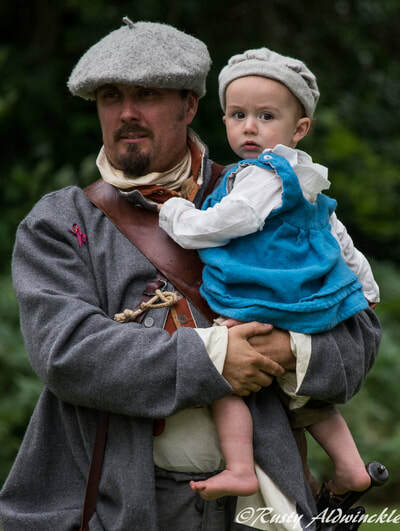 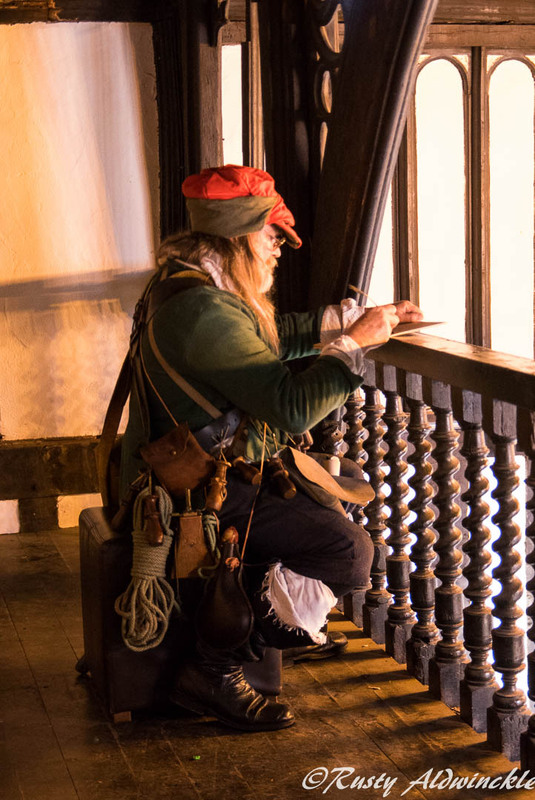 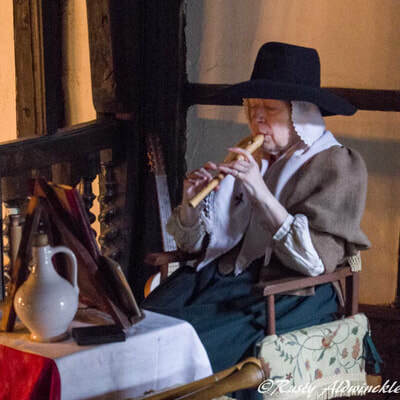 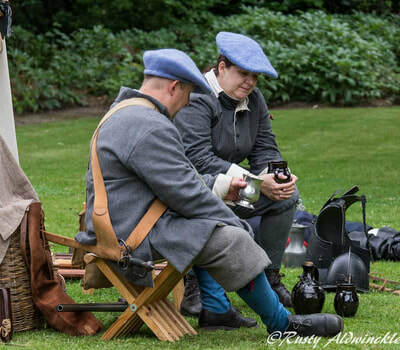 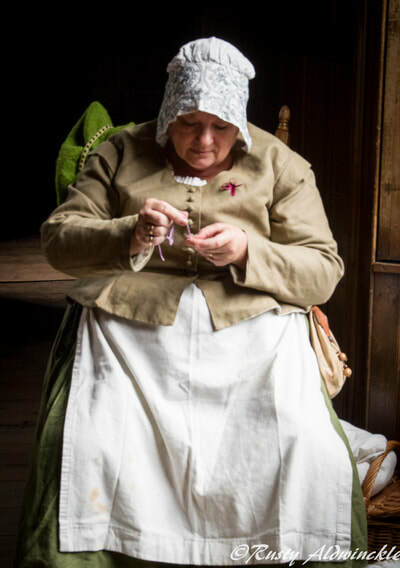 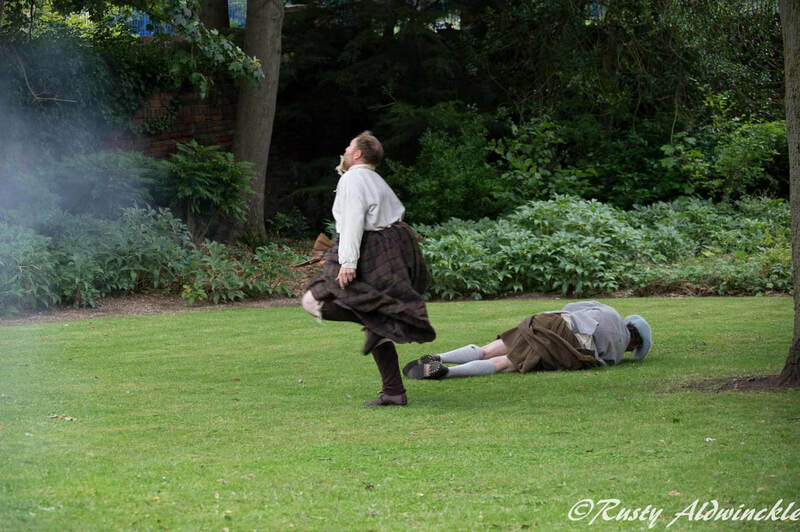 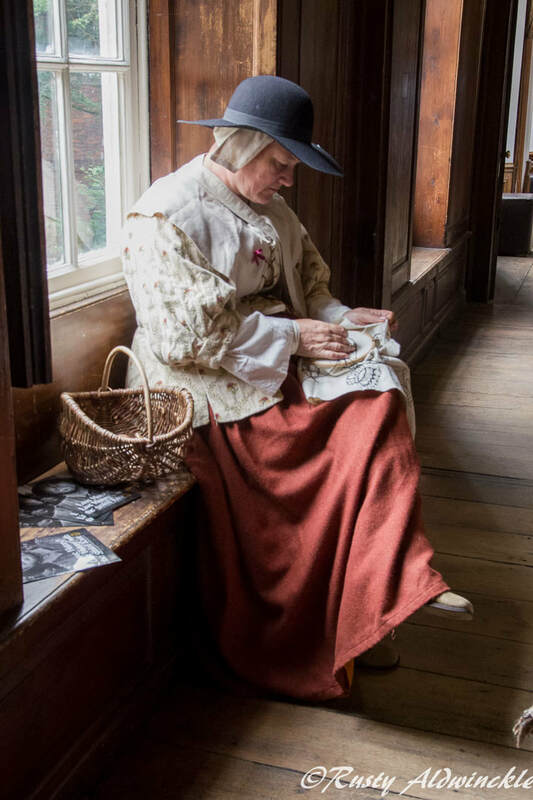 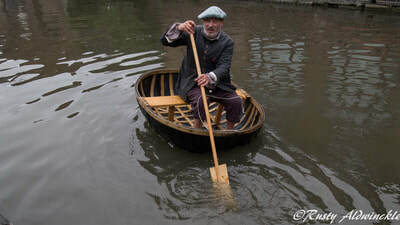 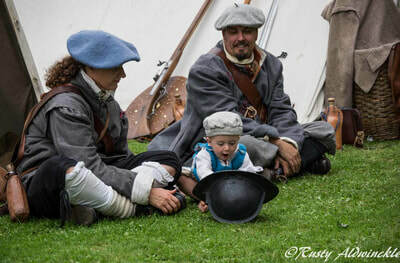 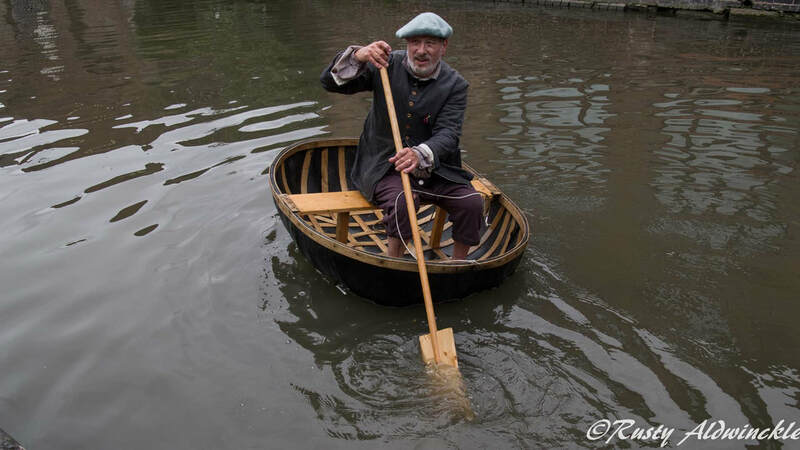 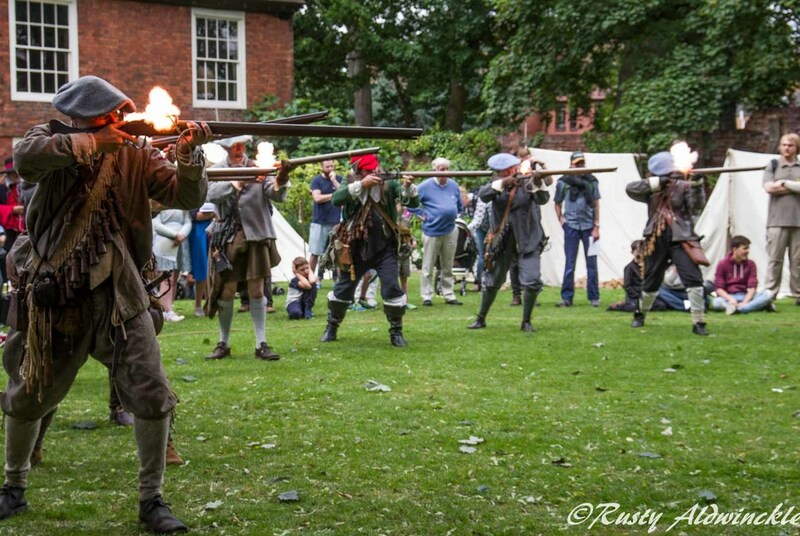 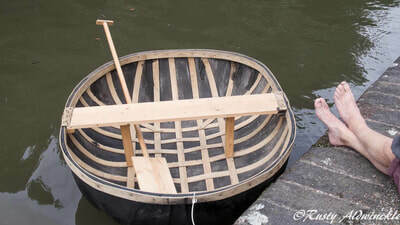 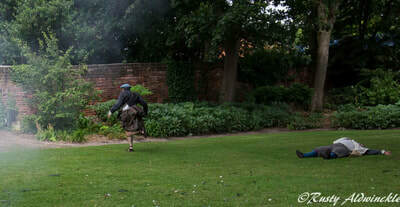 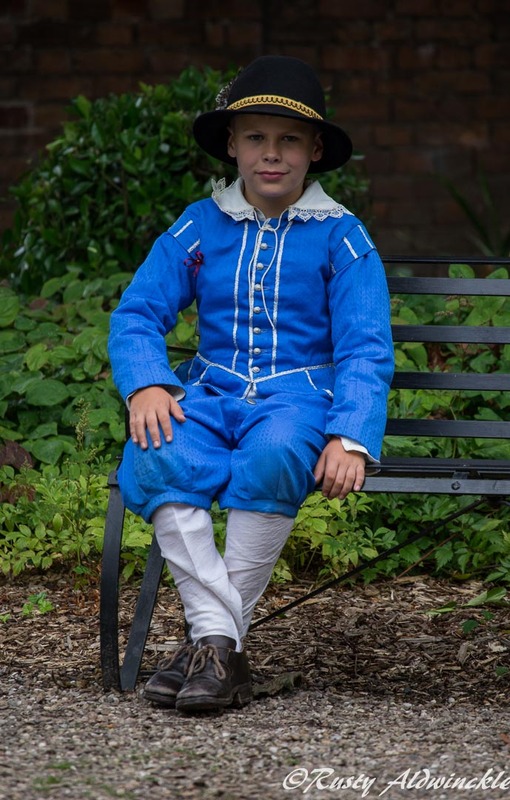 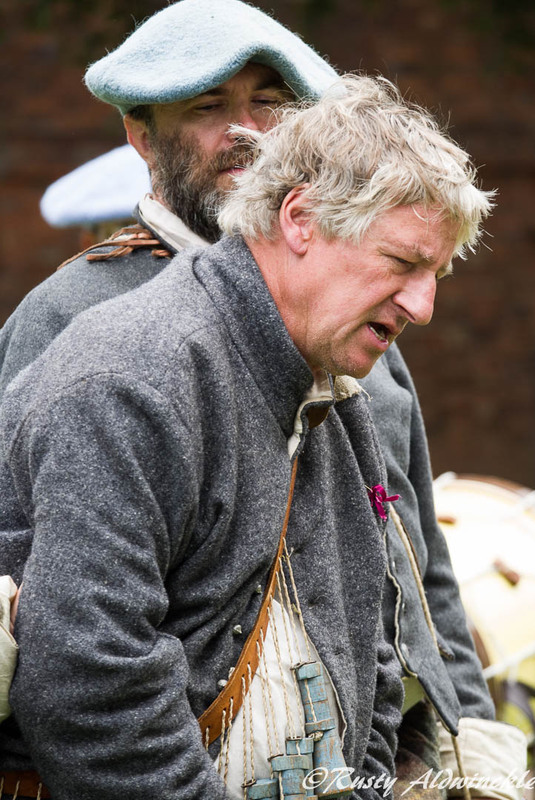 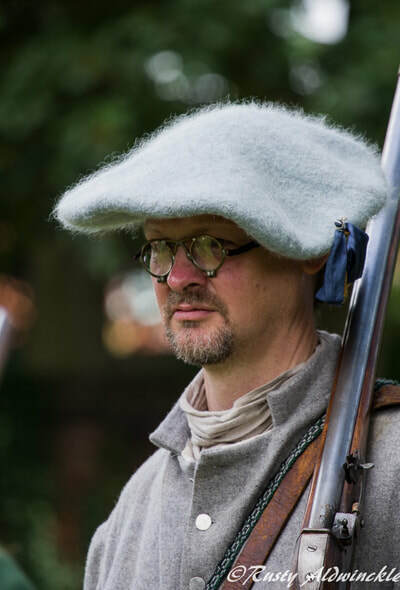 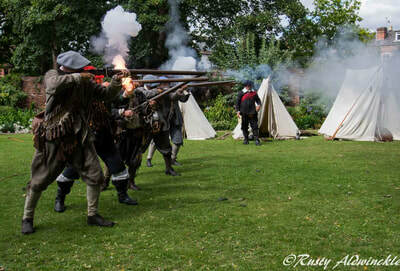 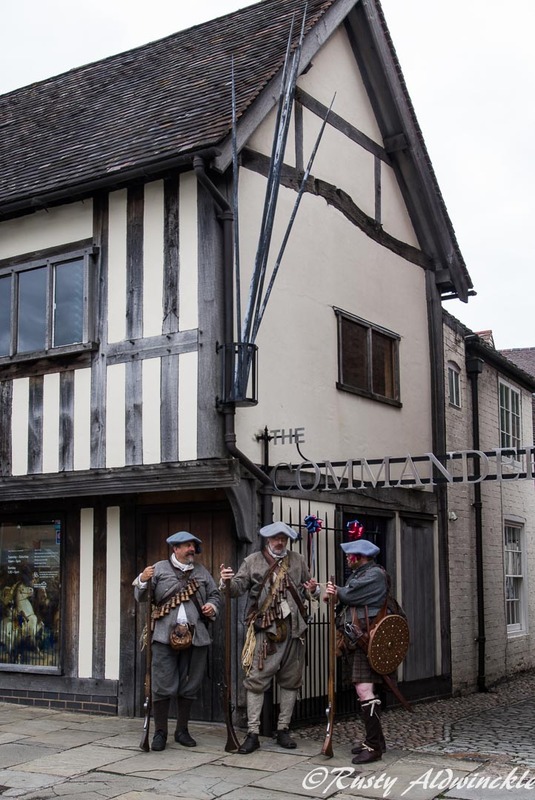 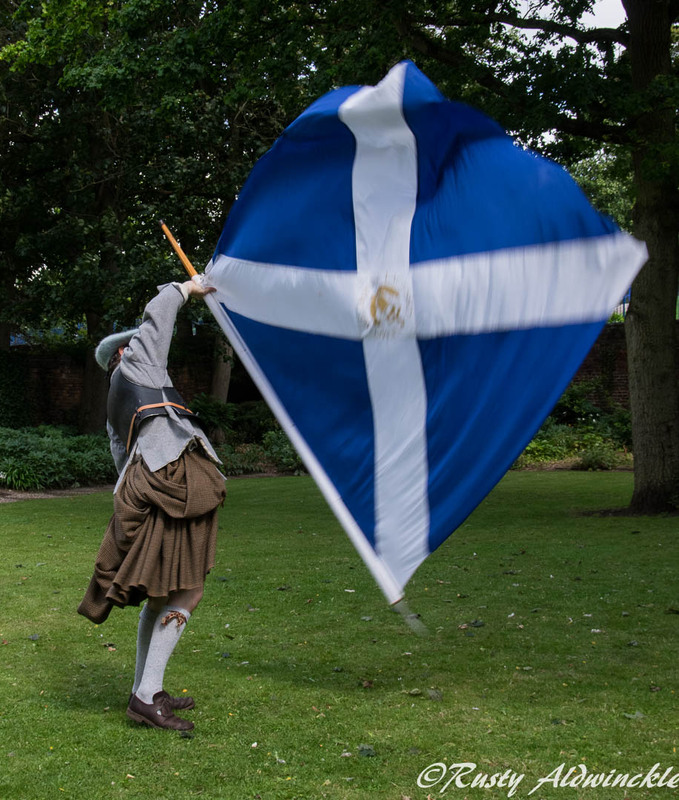 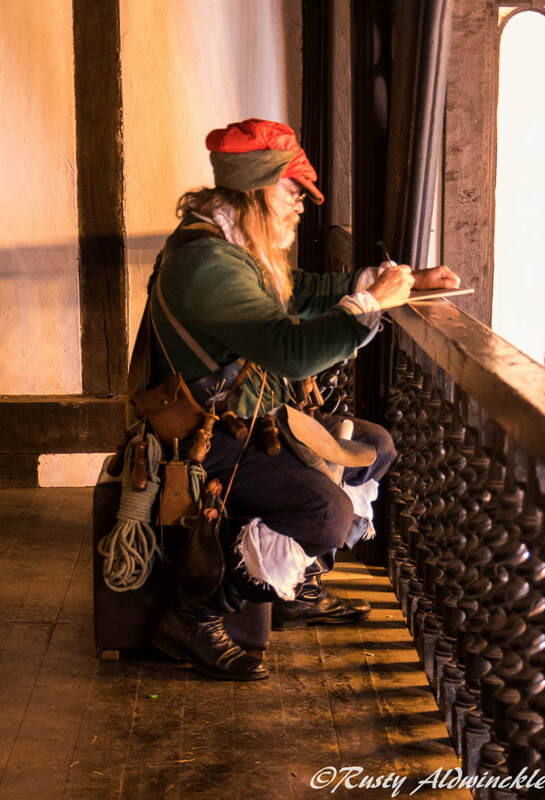 ​However, the Sealed Knot put on a variety of displays with musket firing, pike displays and few Cameo performances in the garden as well as a number of people indoors sharing with members of the Public the crafts and lives of local people during such troubled times. 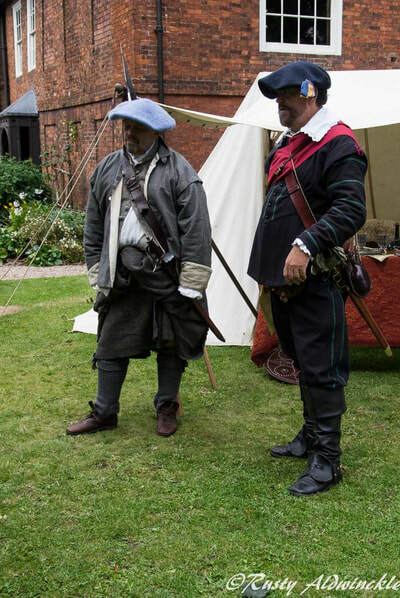 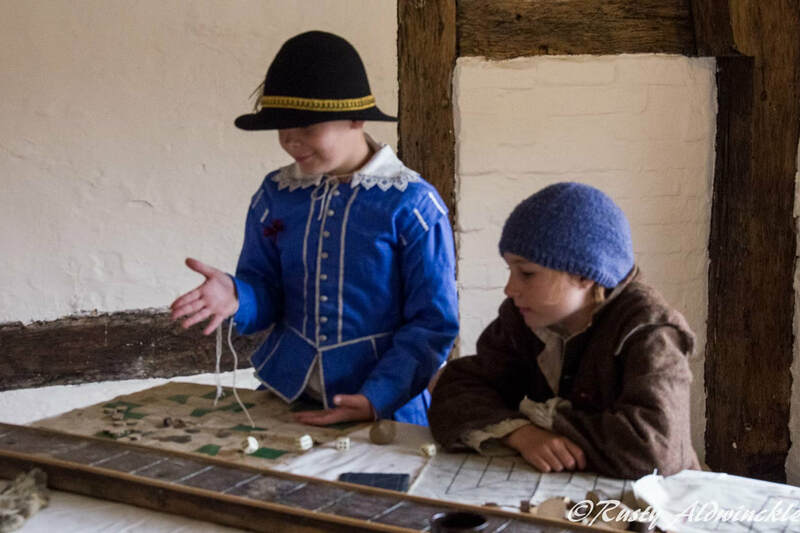 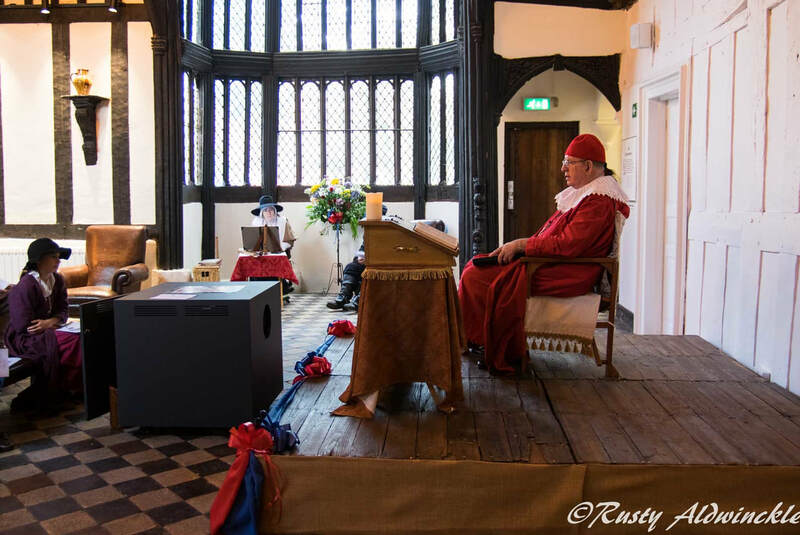 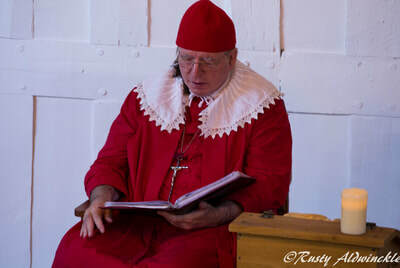 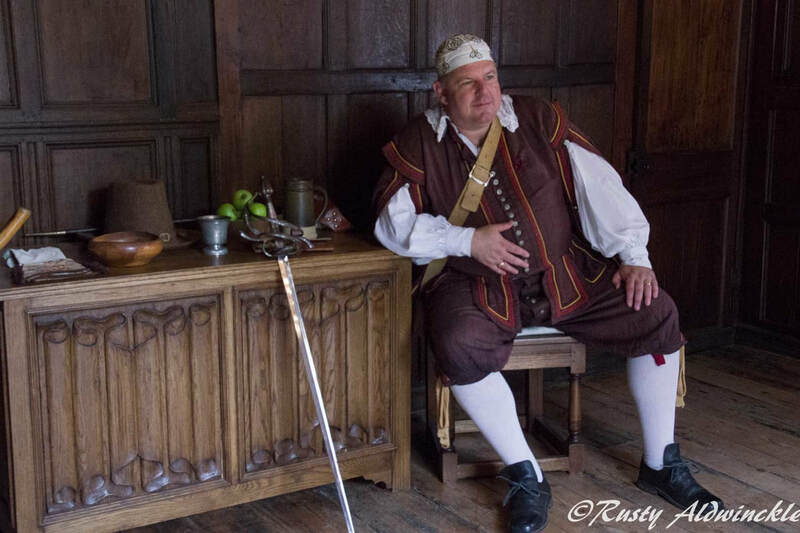 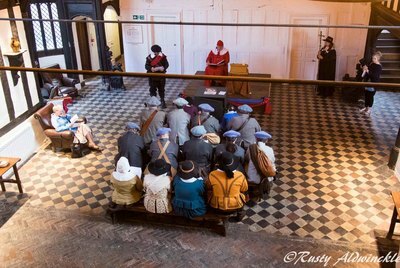 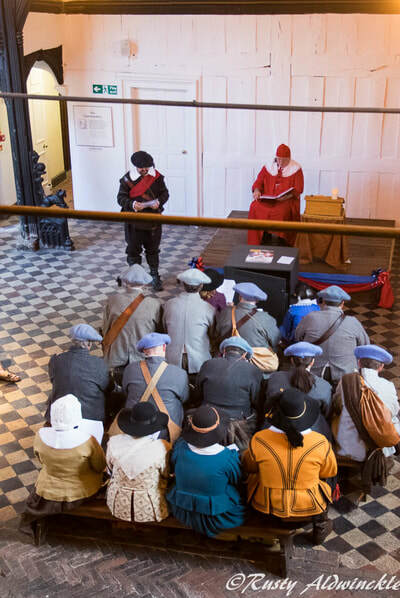 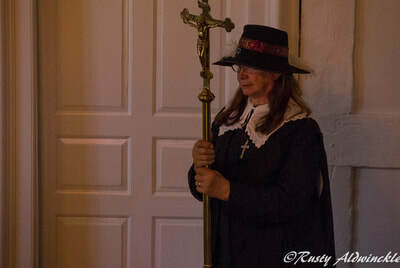 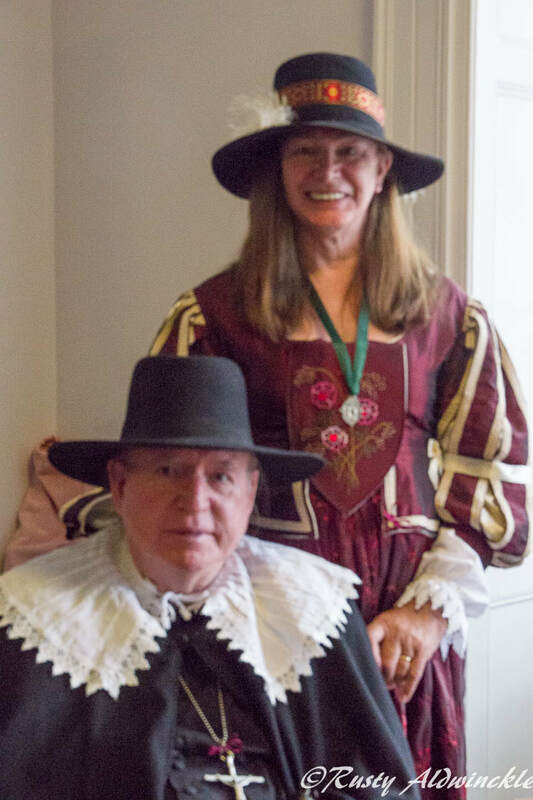 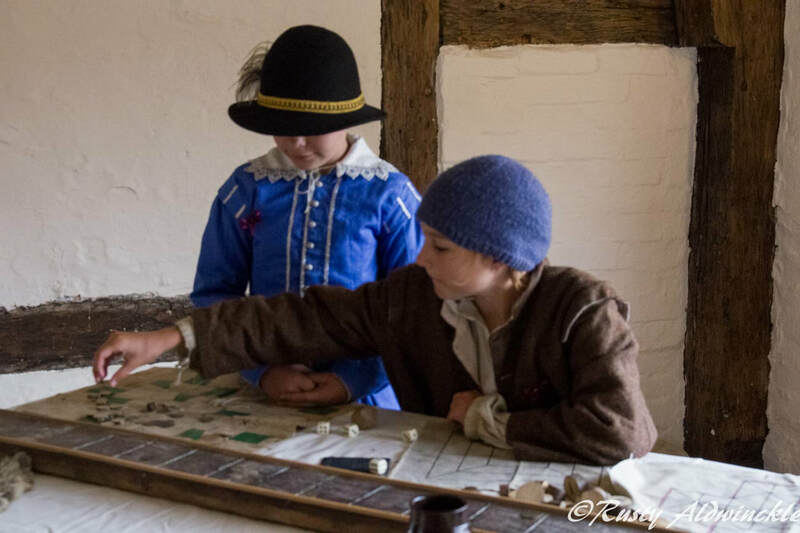 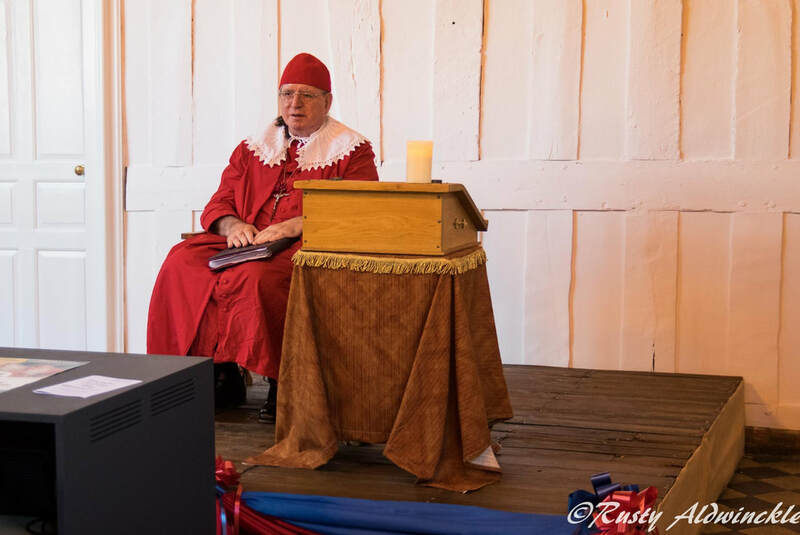 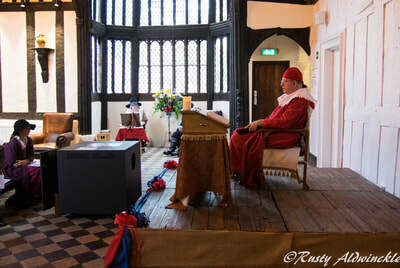 ​My thanks to all those who supported this venture and to the Board of Directors of the Sealed Knot Society for the kind Donation made to the Commandery on behalf of its Members.